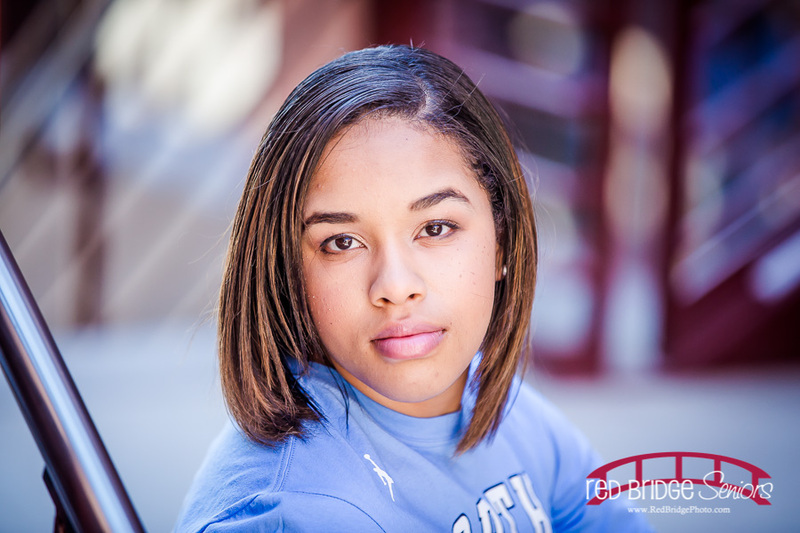 This beautiful young lady is now a senior in high school and a proud receipient of the Morehead-Cain Scholarship for 2015! 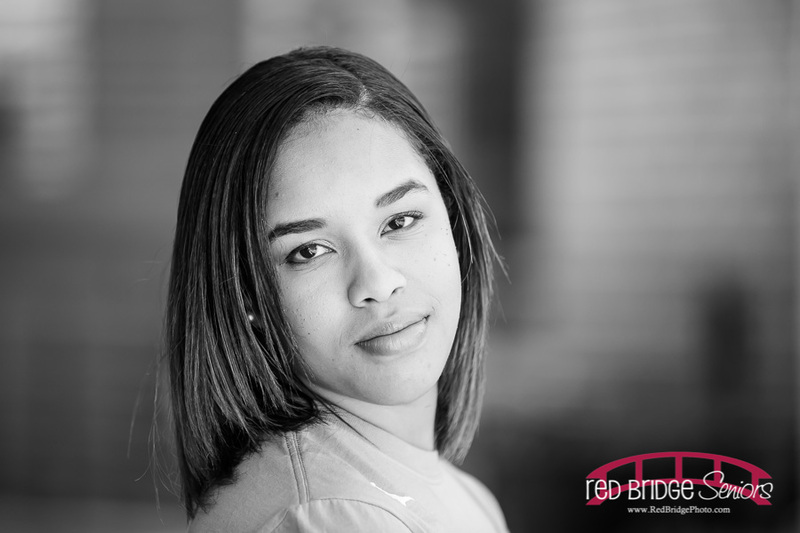 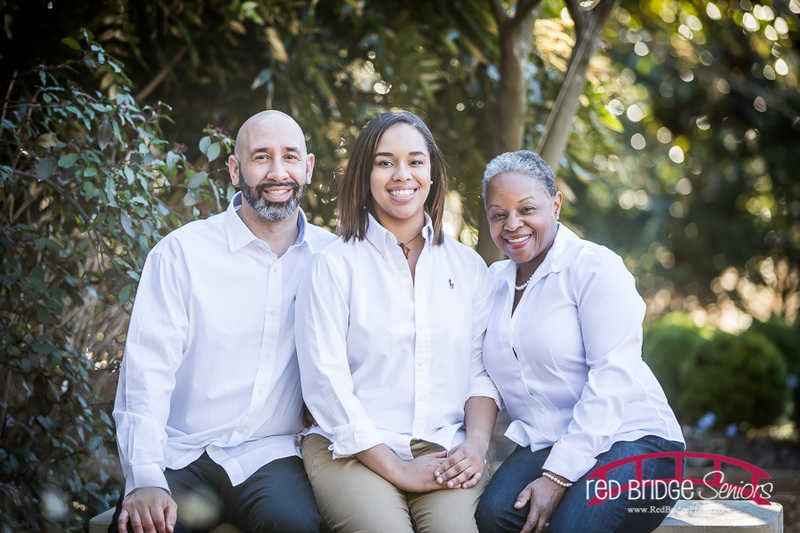 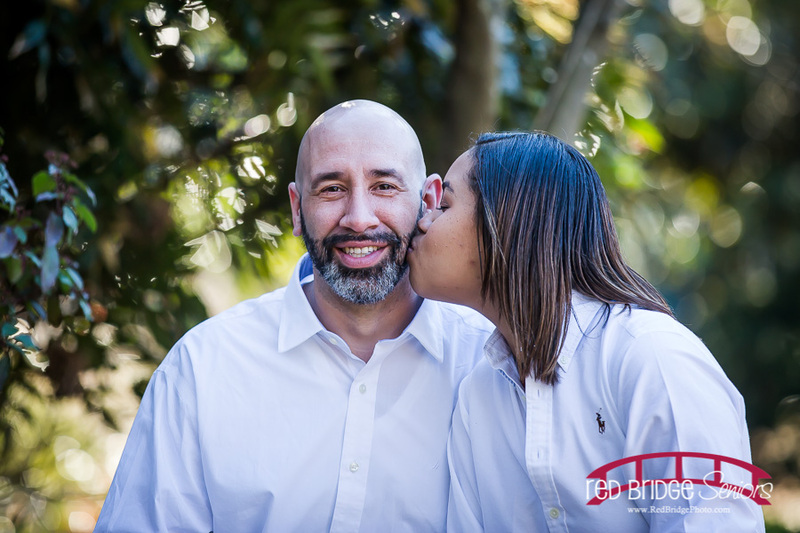 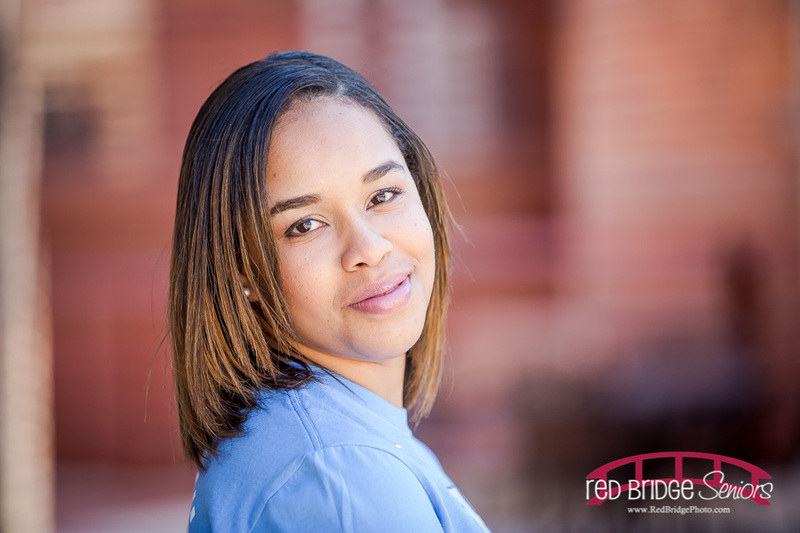 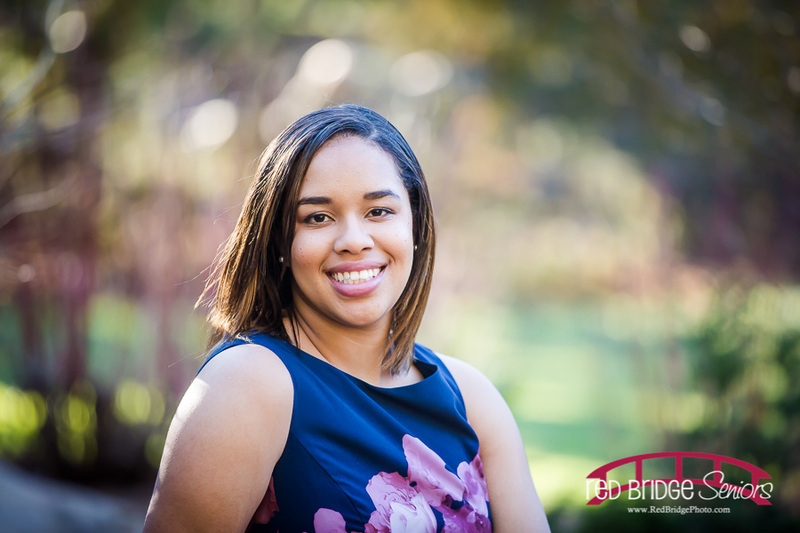 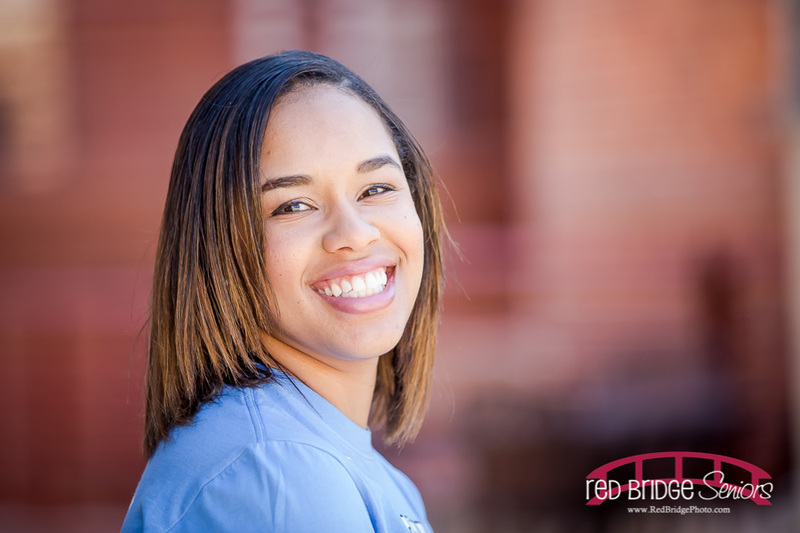 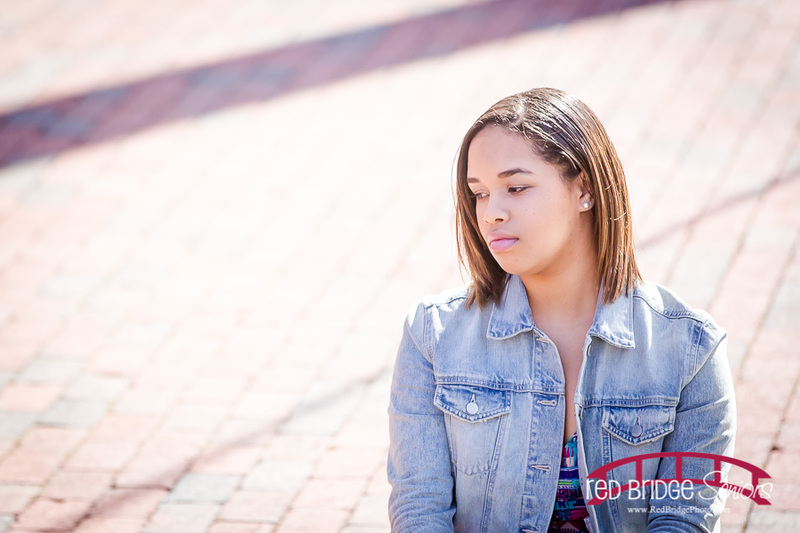 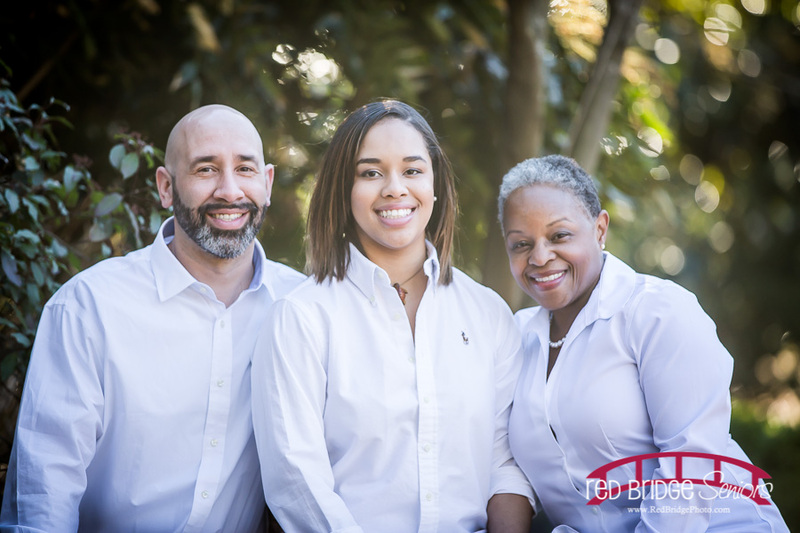 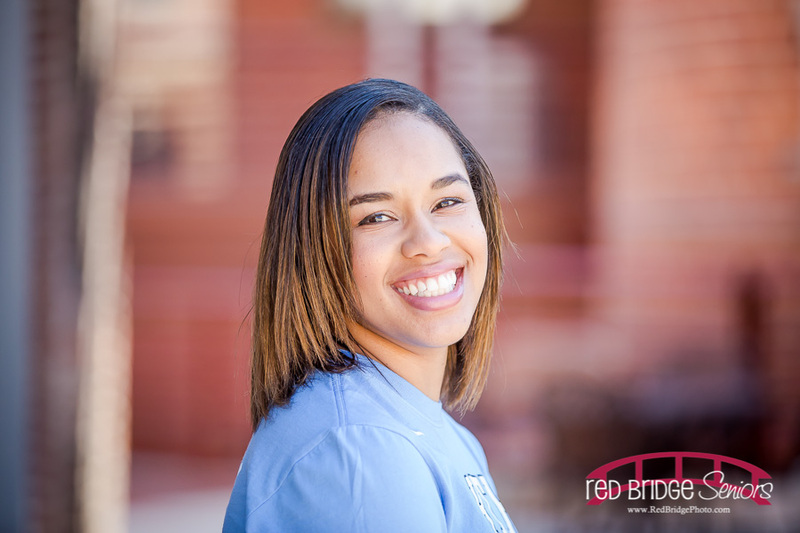 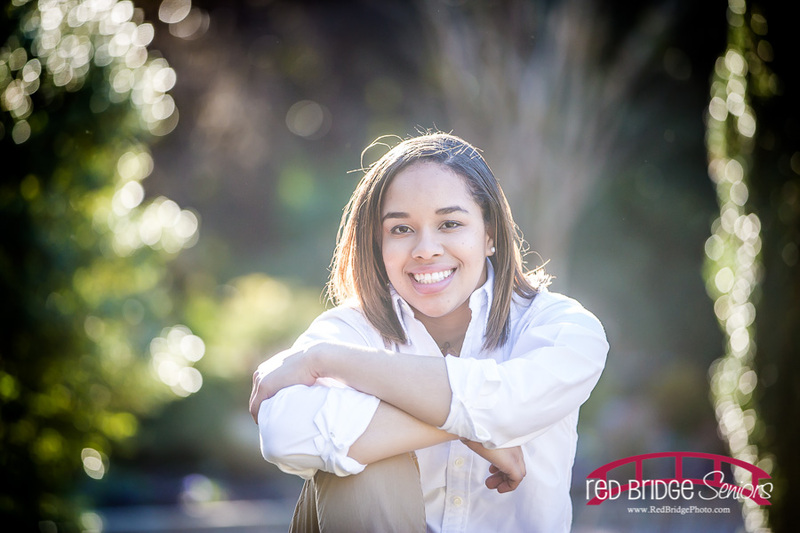 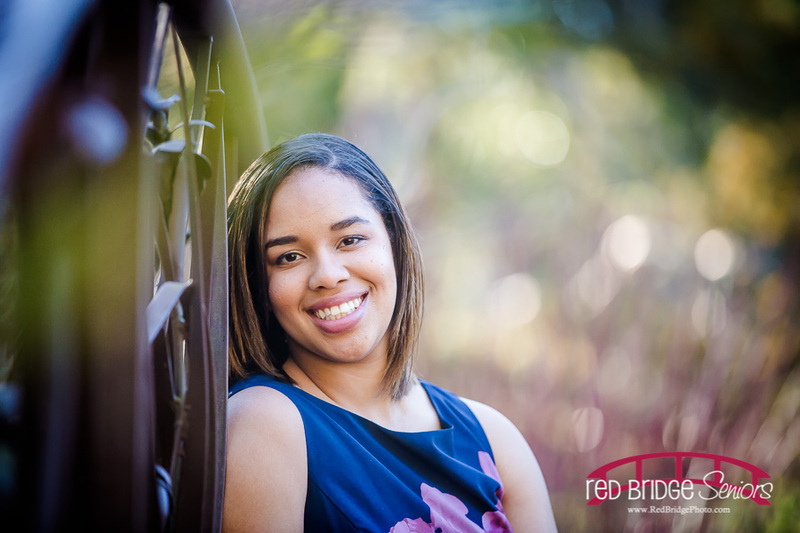 AND she is not new to the Red Bridge family. 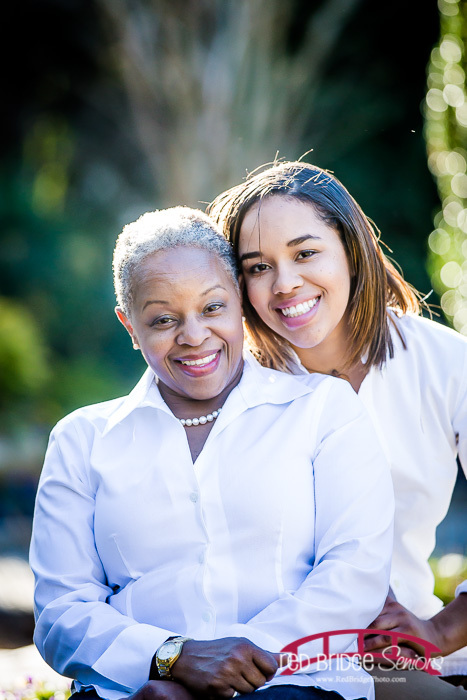 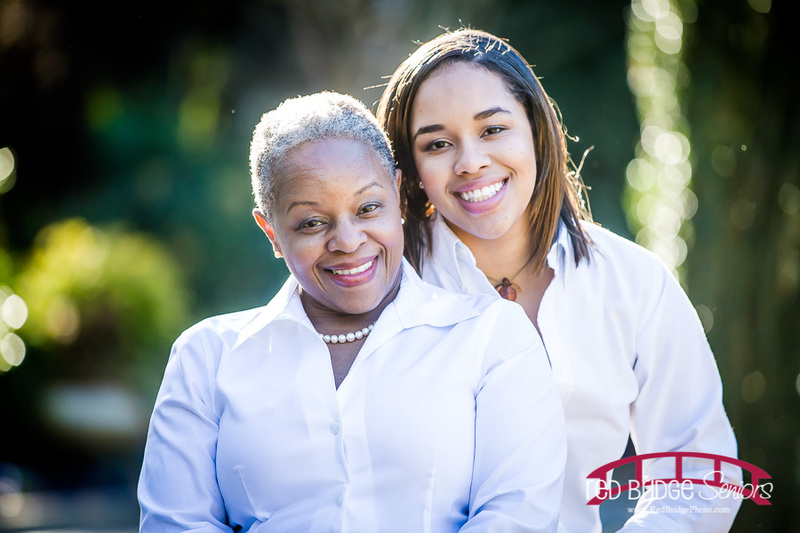 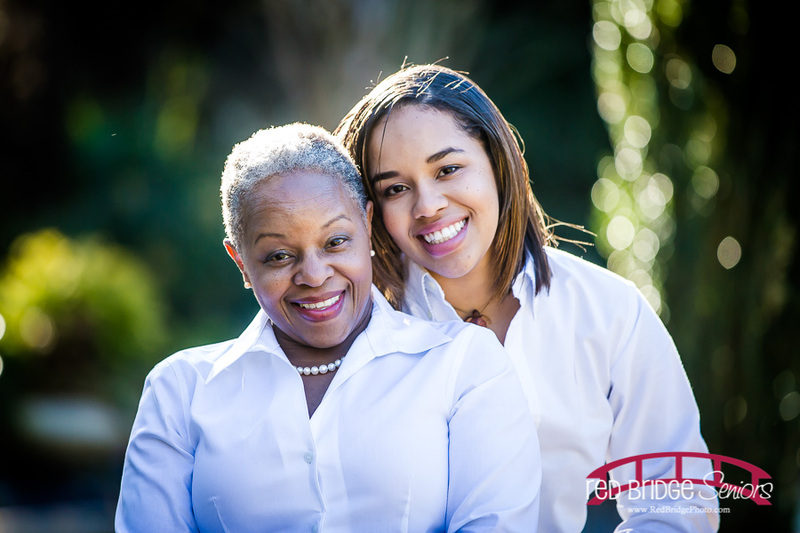 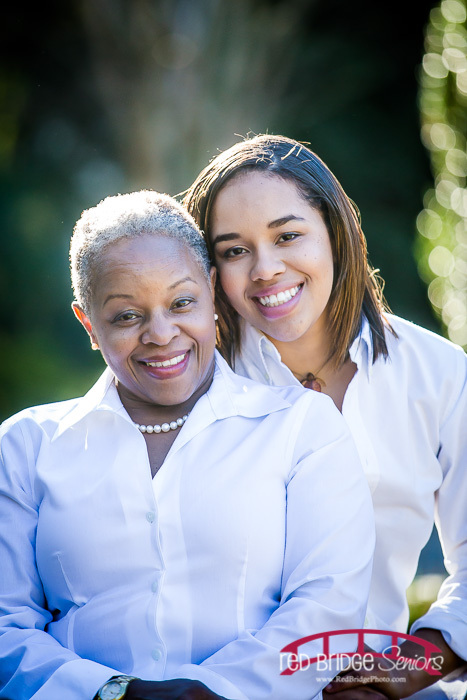 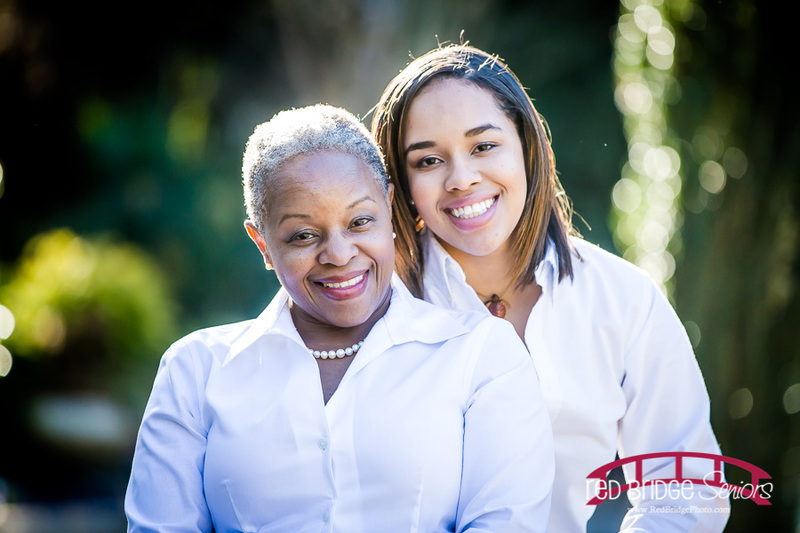 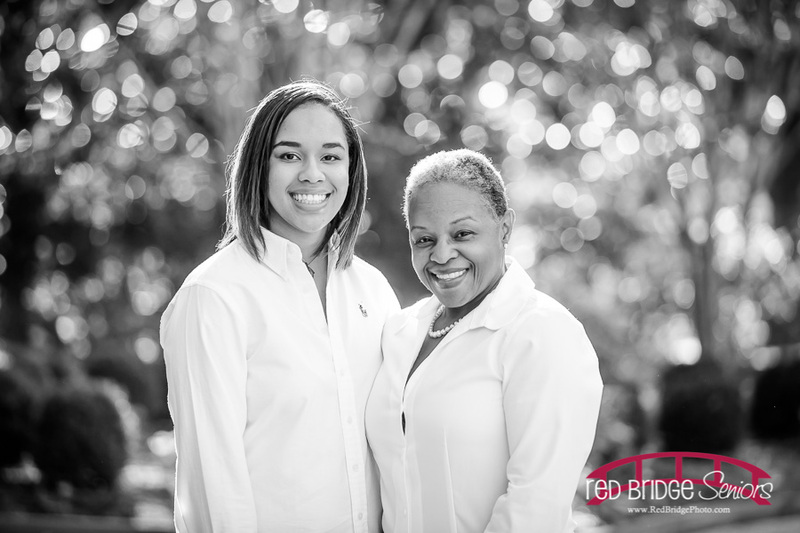 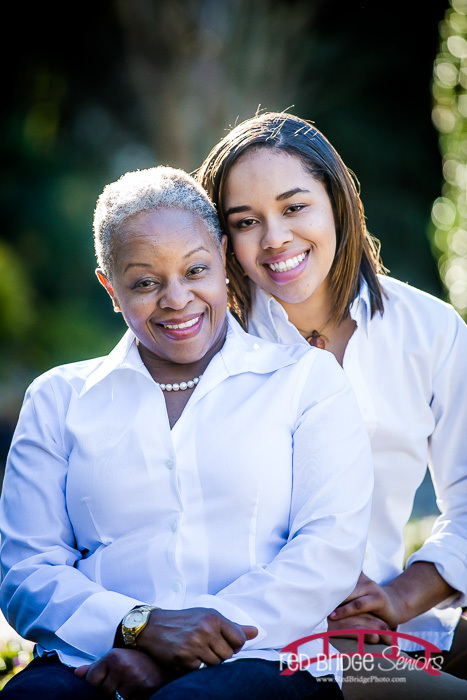 Many, many, many moons ago before Annie and Rebecca = Red Bridge, Annie photographed Jordan and her mother for some updated family pictures. 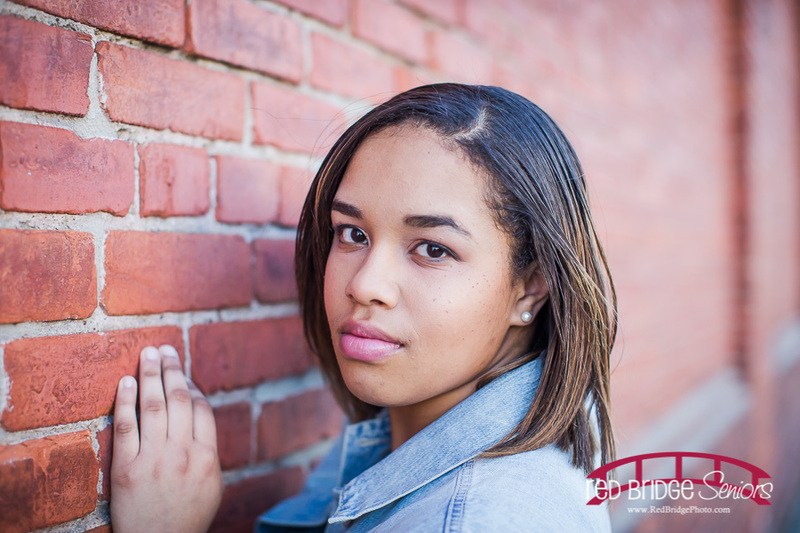 Jordan’s mom came right back to Annie for her senior session and she sent her over to me! 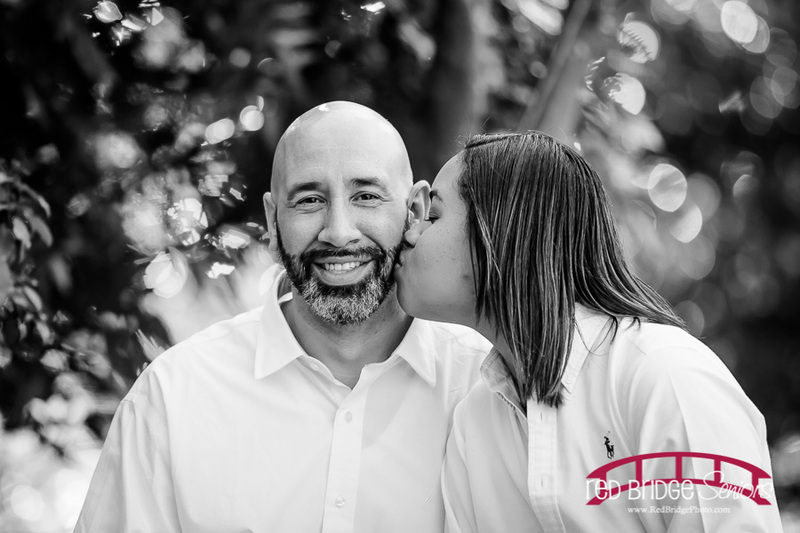 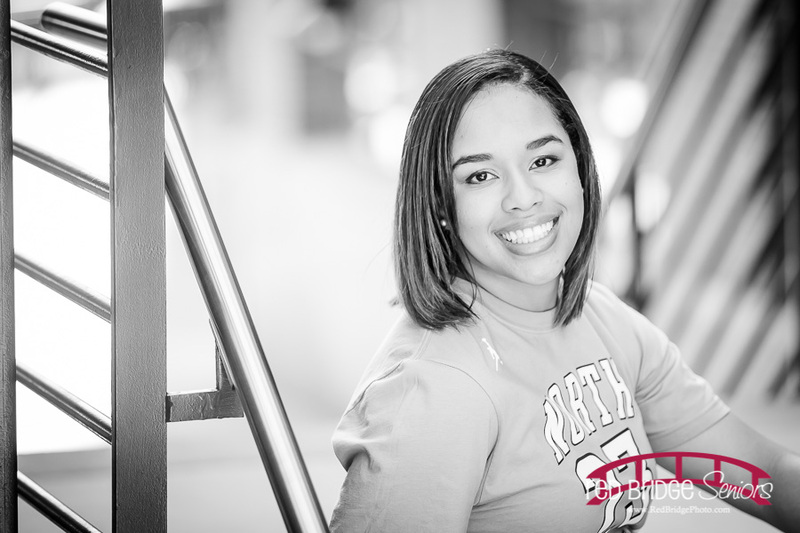 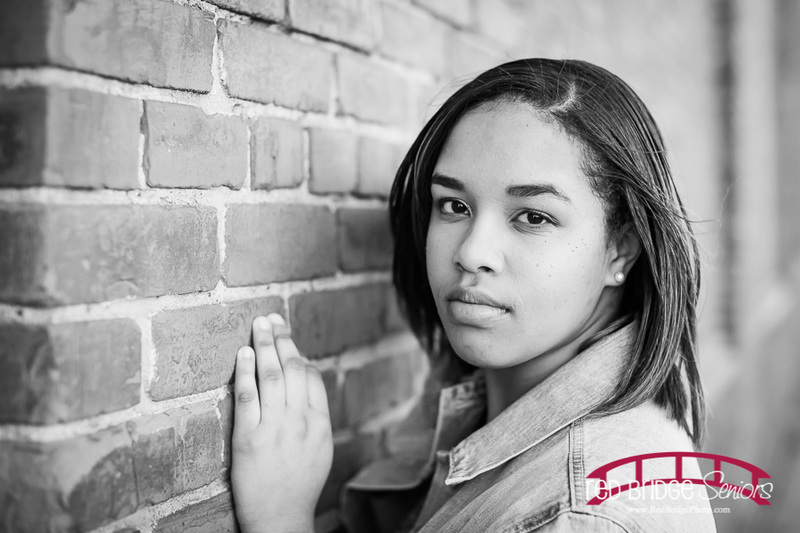 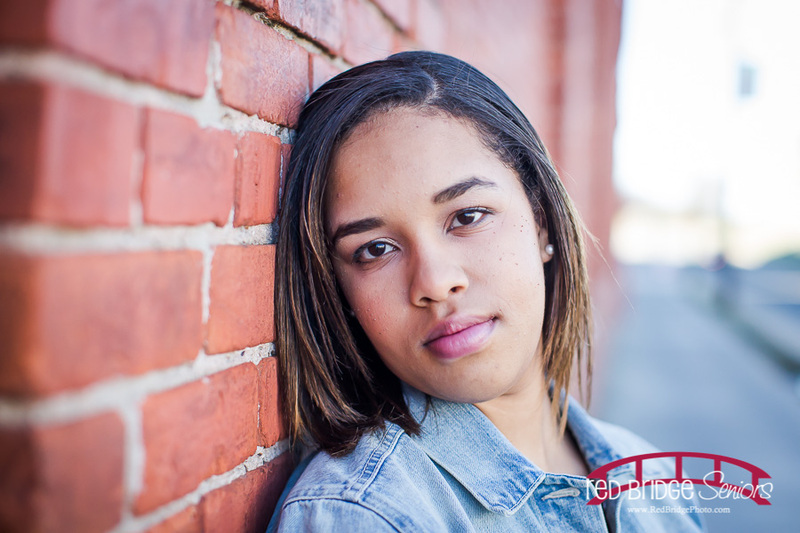 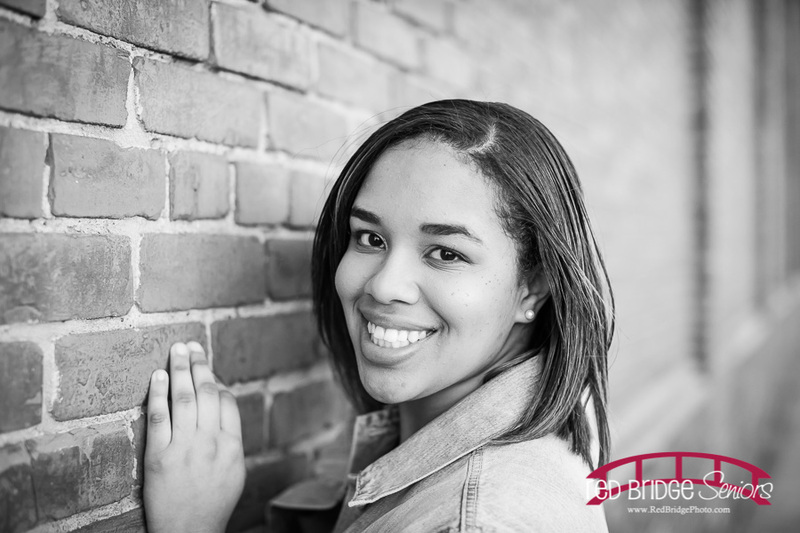 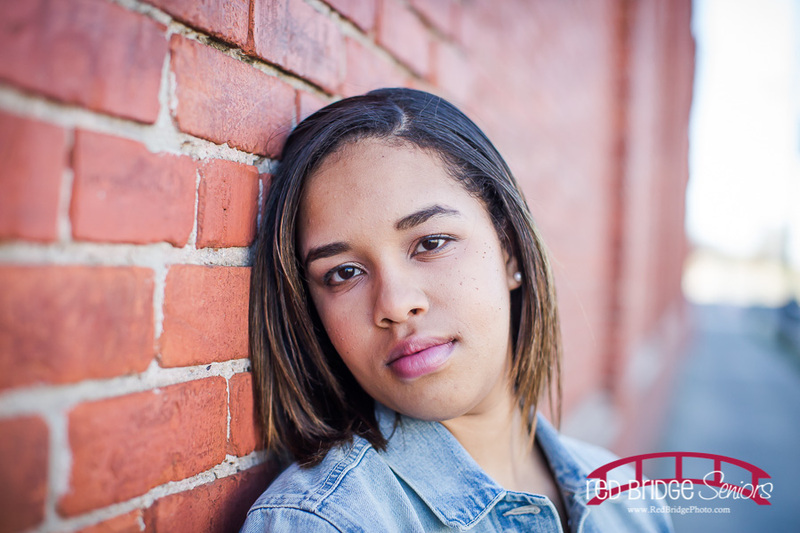 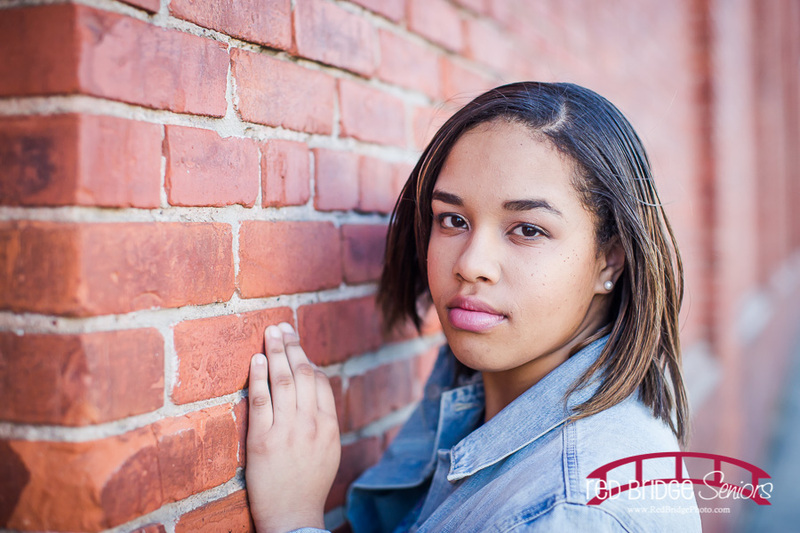 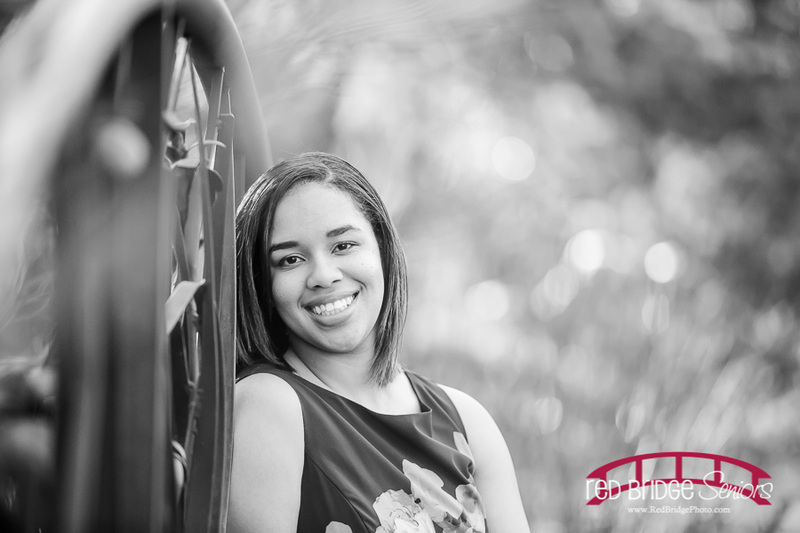 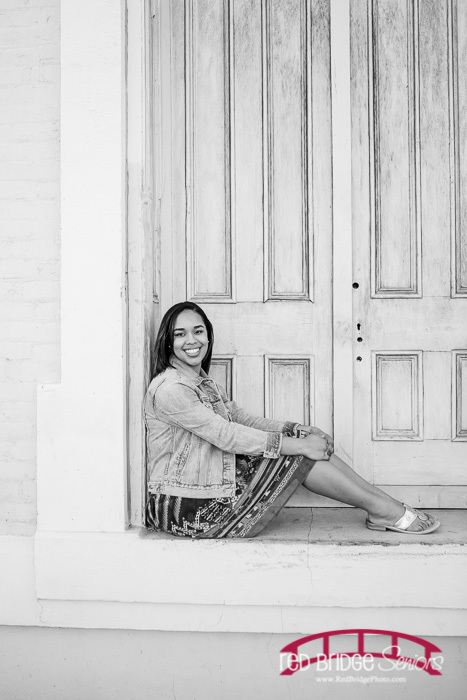 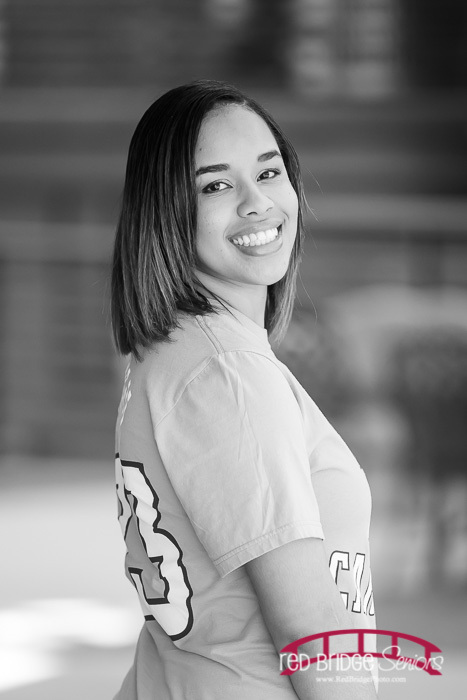 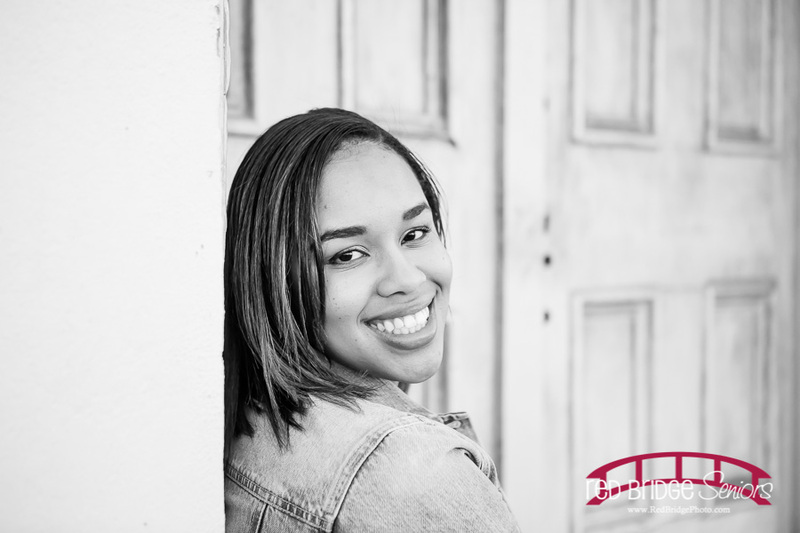 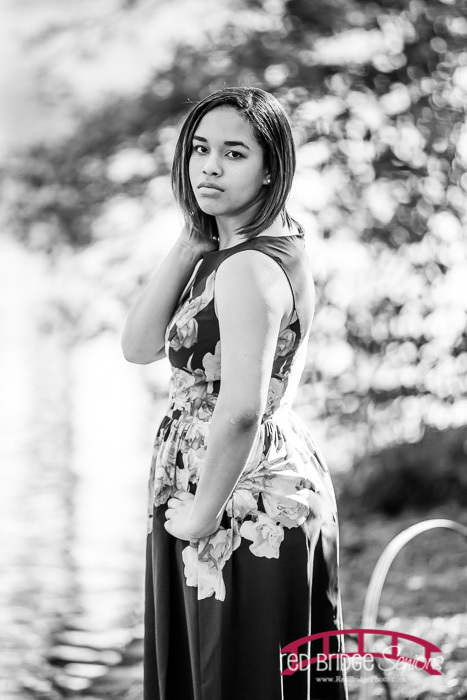 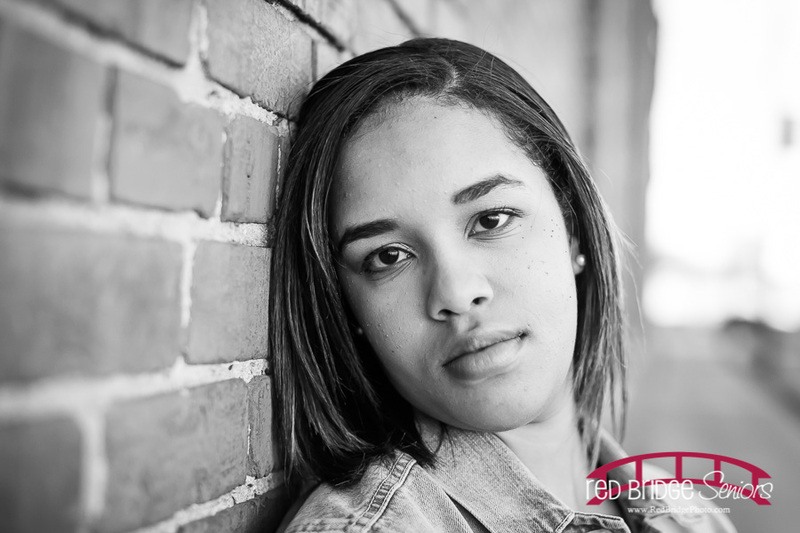 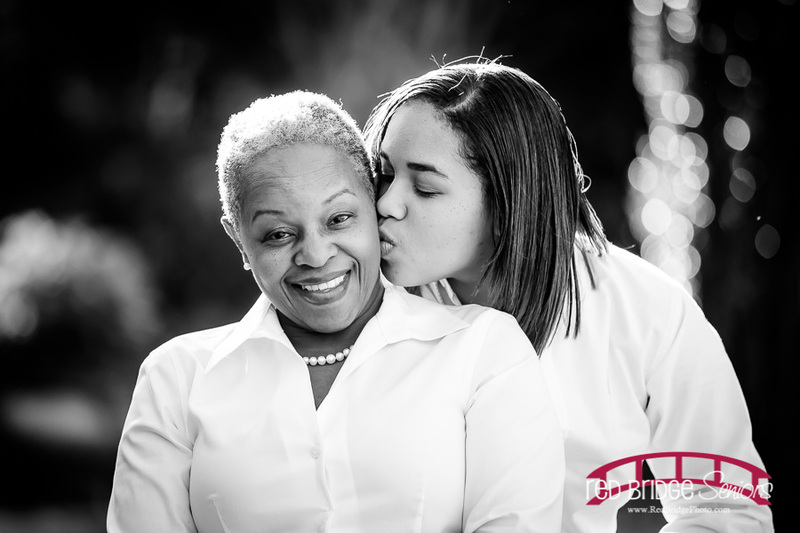 We met beforehand and discussed what everyone wanted to accomplish in the session and one thing for certain that Jordan’s mom indicated was that she loved black and white images. 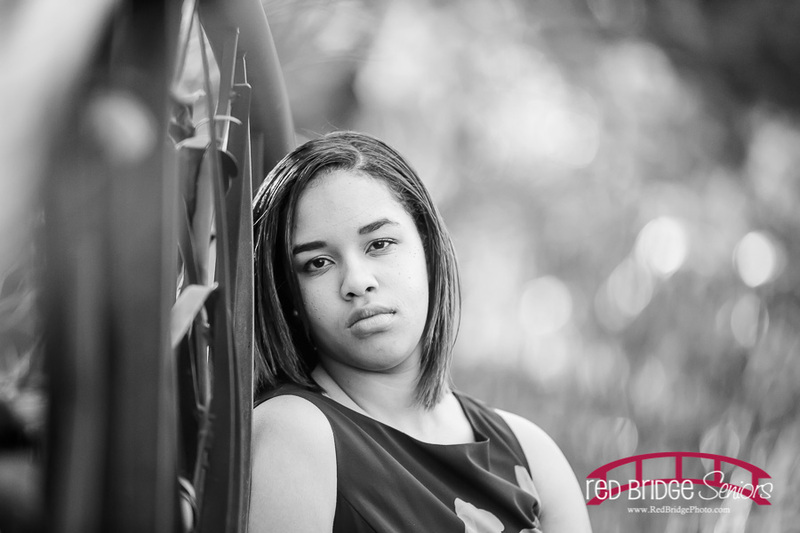 So, there are LOTS in this session because that was a huge expecitation she had. 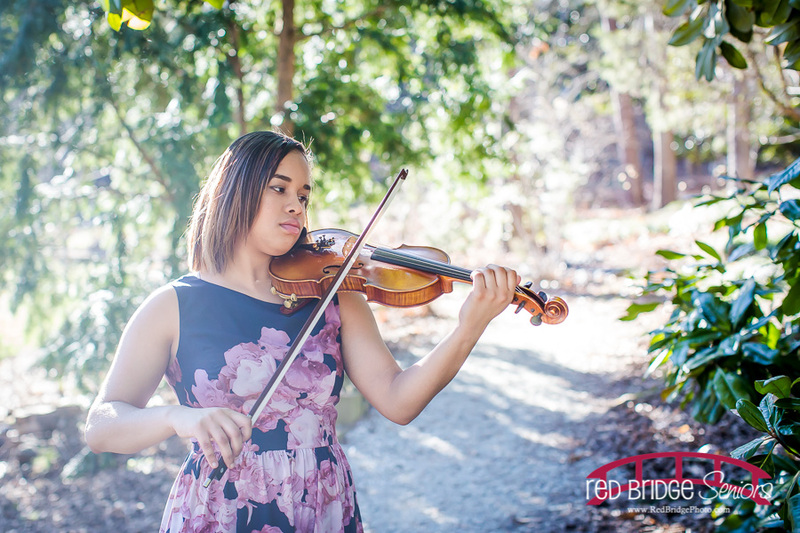 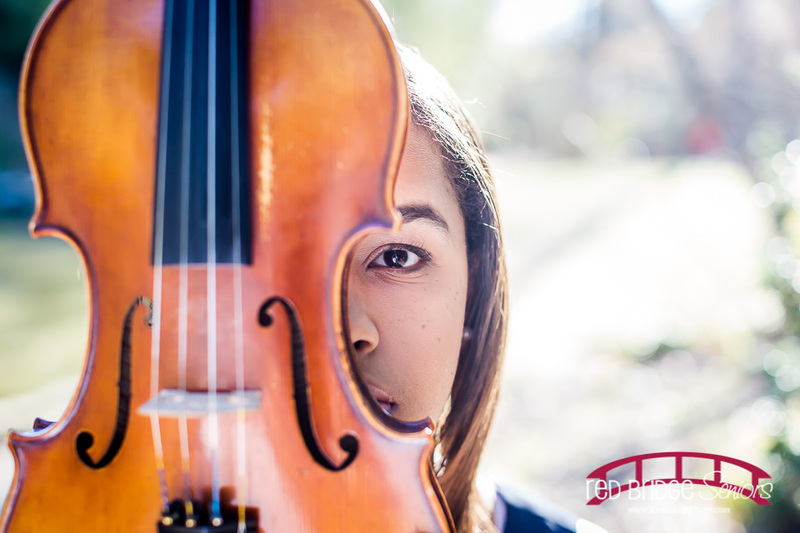 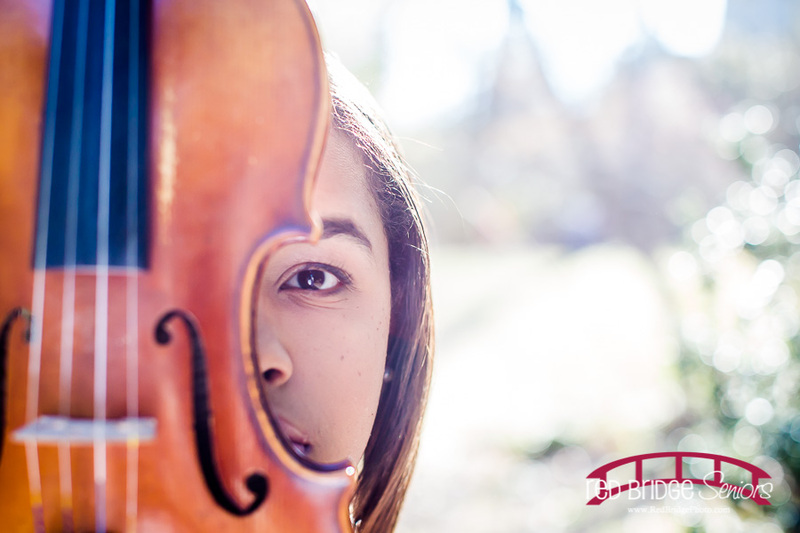 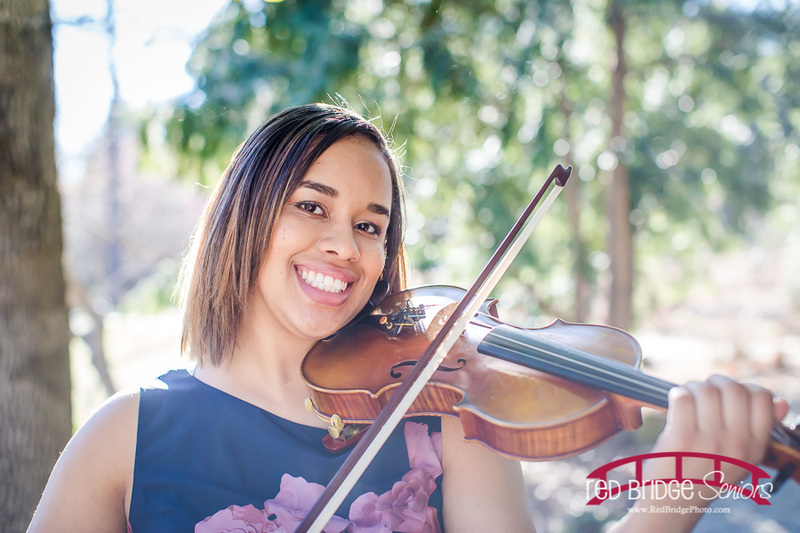 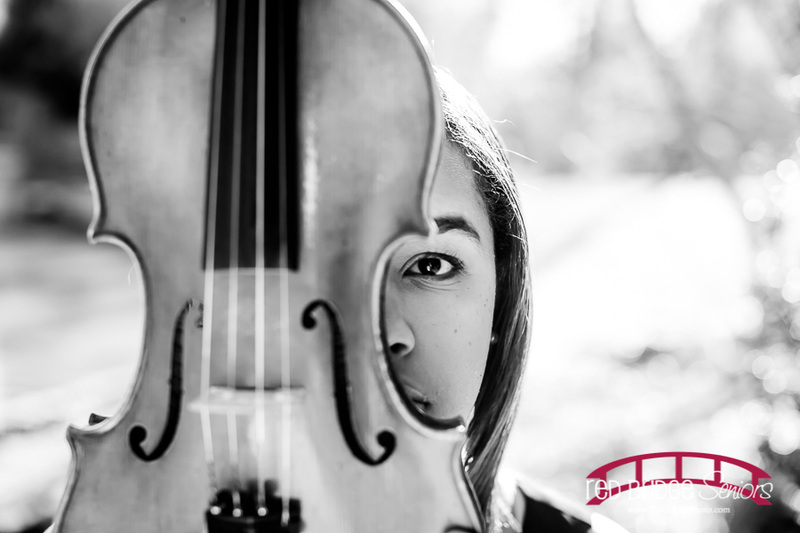 Jordan also plays the violin so we made sure to include some images with the violin in the session. 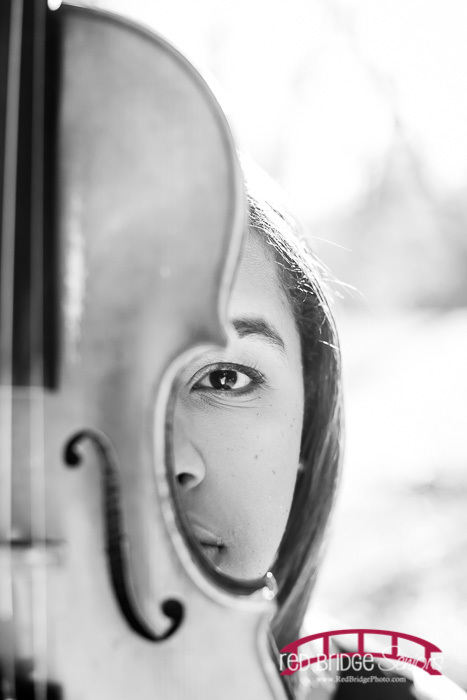 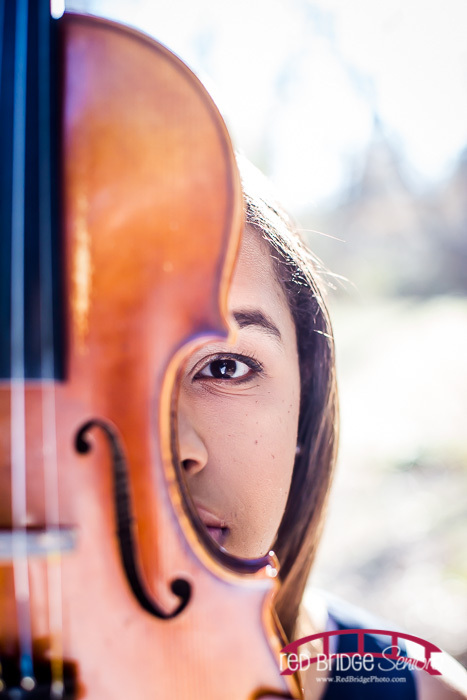 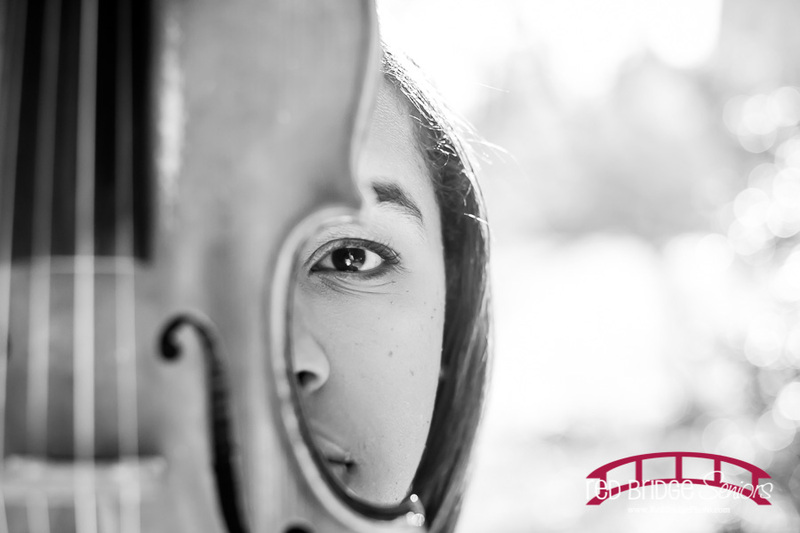 Those are some of my favorites becuase I like to get creative with the photographing of the subject and the violin and what I came up with was my interpretation of an Alicia Key’s CD cover image from a CD release years ago. 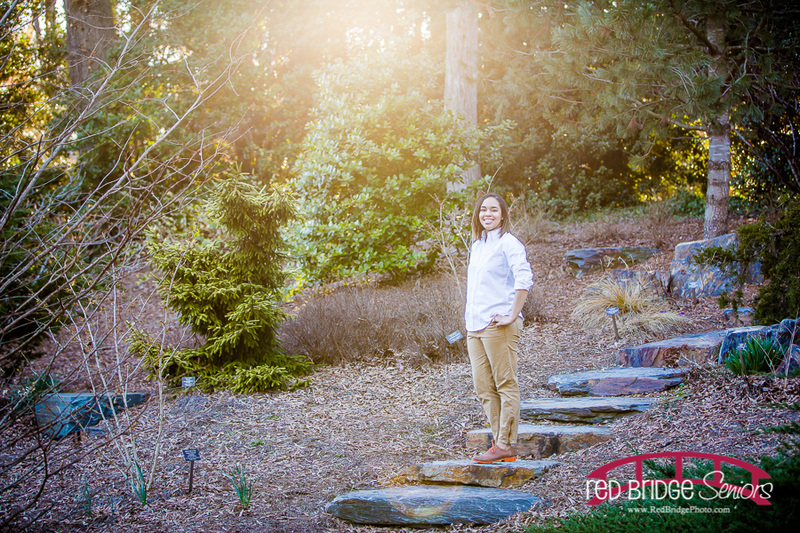 A quick outfit change and scenery change within Duke Gardens, we ended up in the tierd garden section and we found some amazing light! 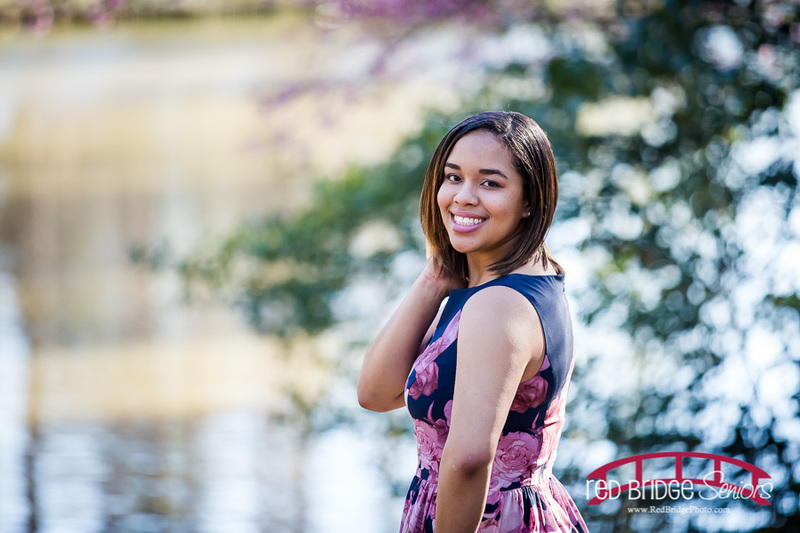 It was so beautiful and perfect we used it for the rest of the session and we also did some updated pictures of Jordan and her parents! 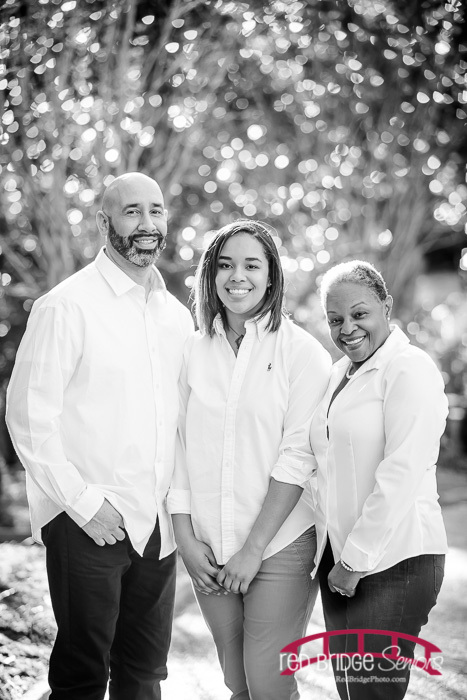 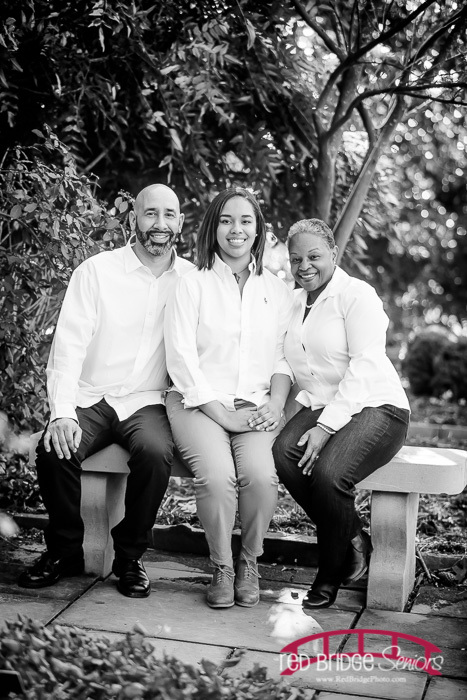 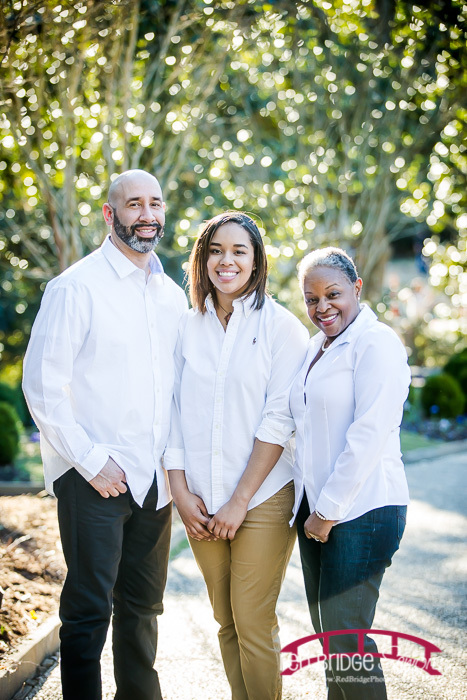 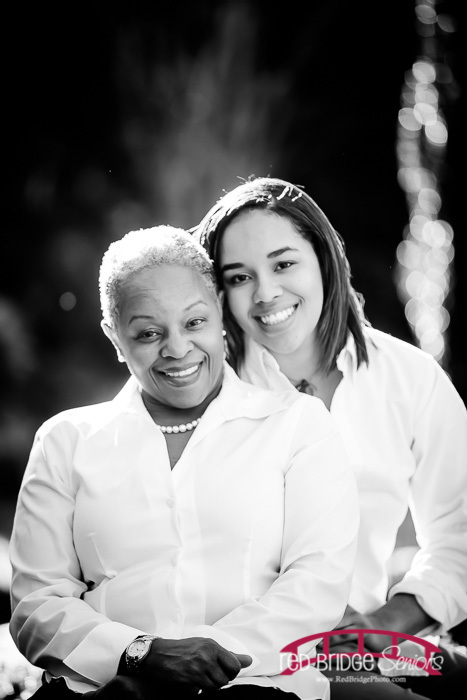 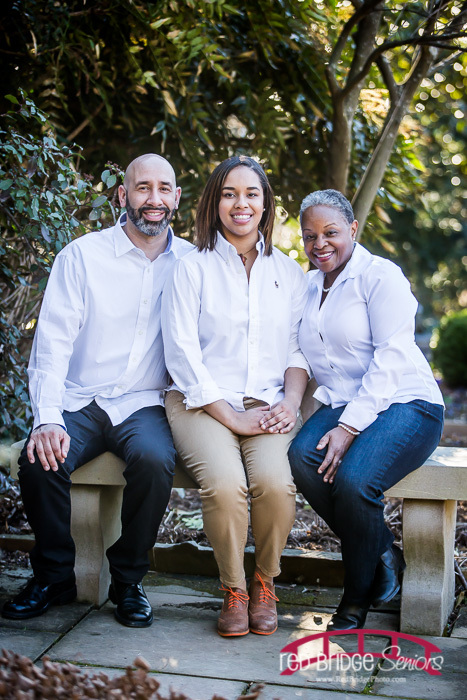 Really, I love to do family pictures at each session because they are just.that.important. 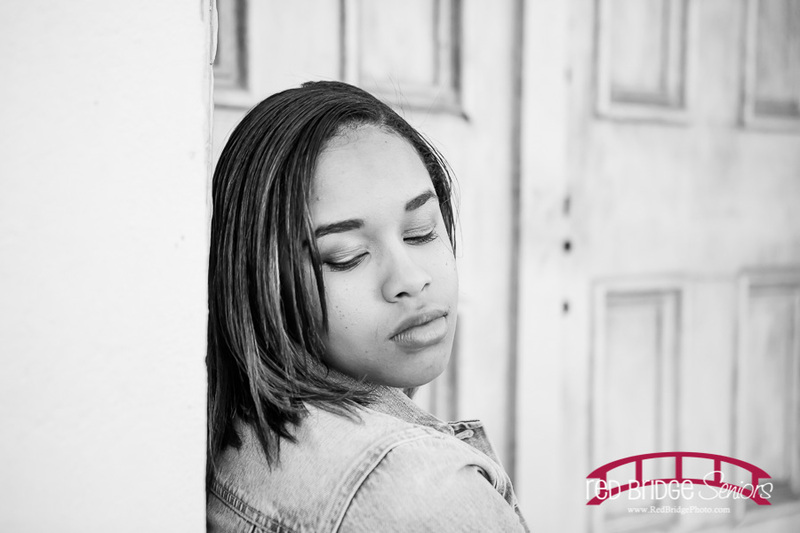 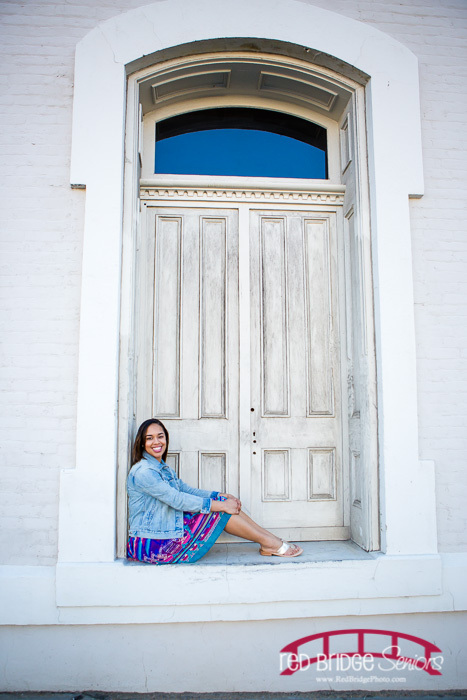 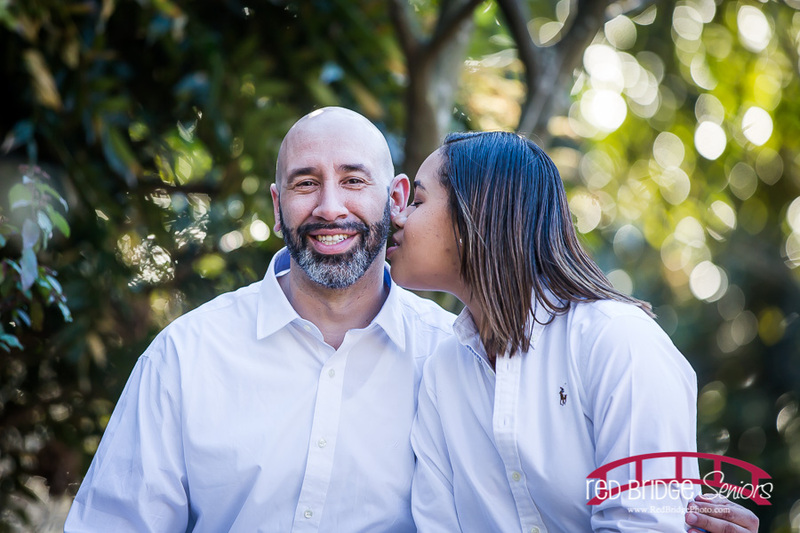 I don’t like to restrict a session with – it’s only senior pictures so that is all we shoot; a seperate family session is required. 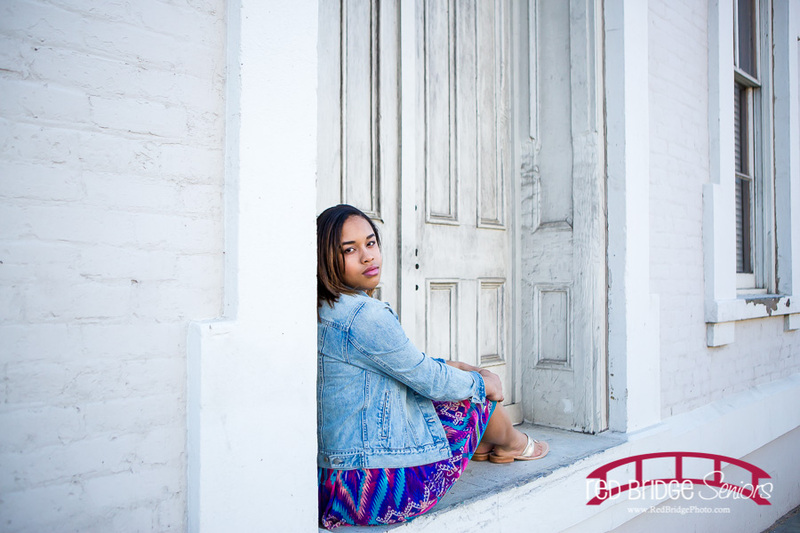 BOO on that! 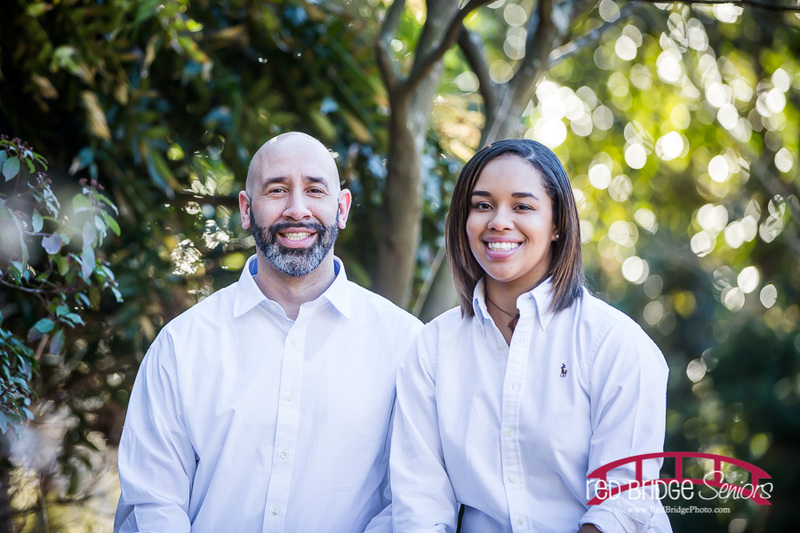 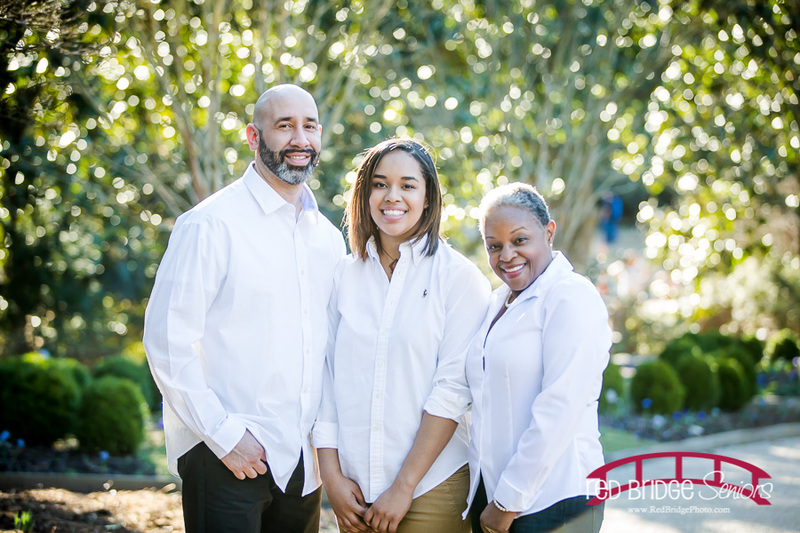 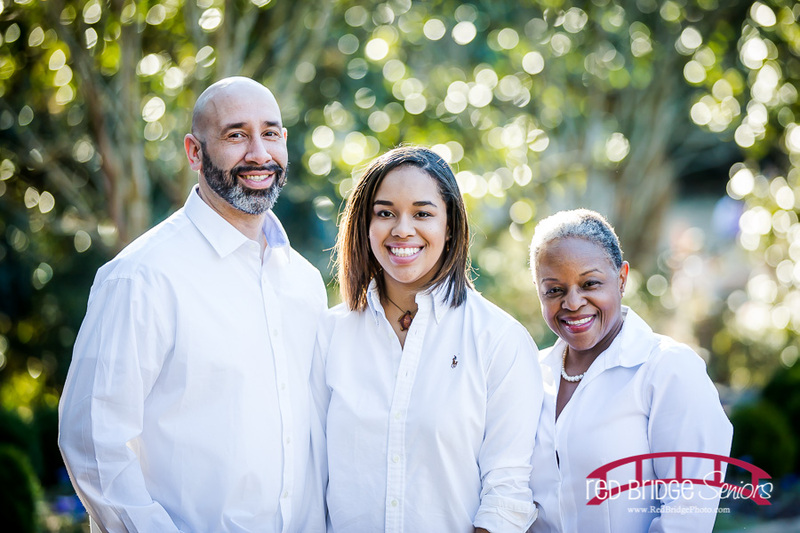 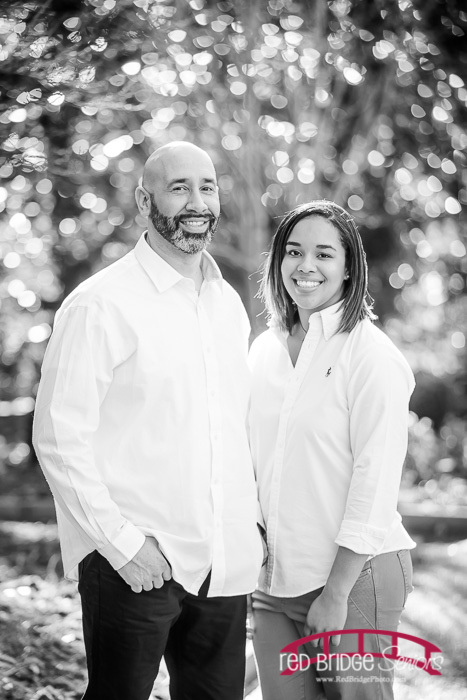 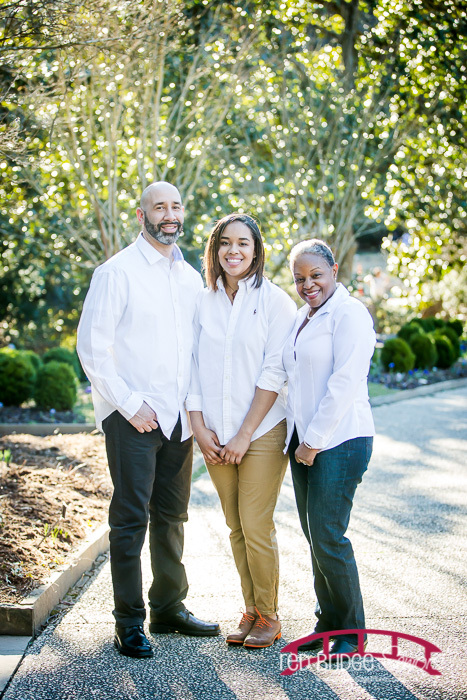 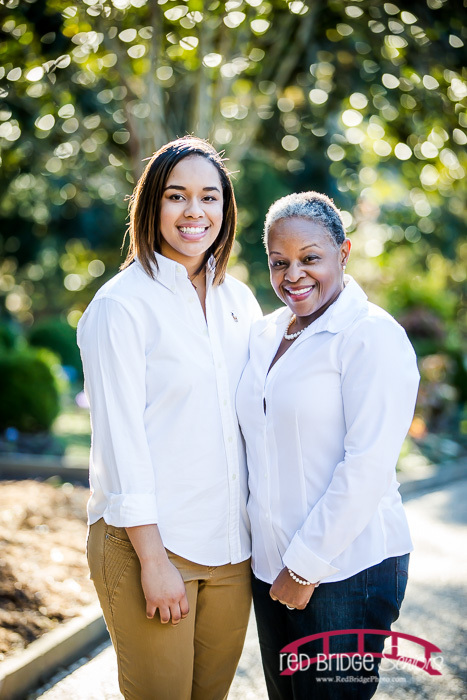 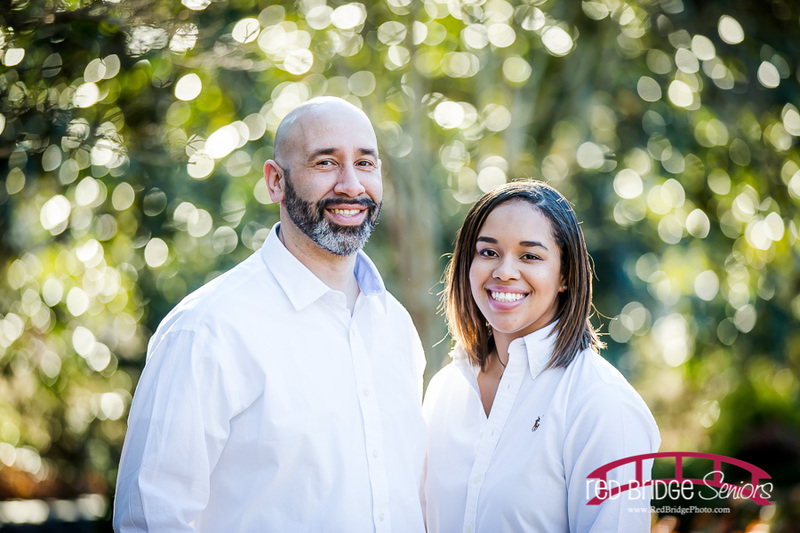 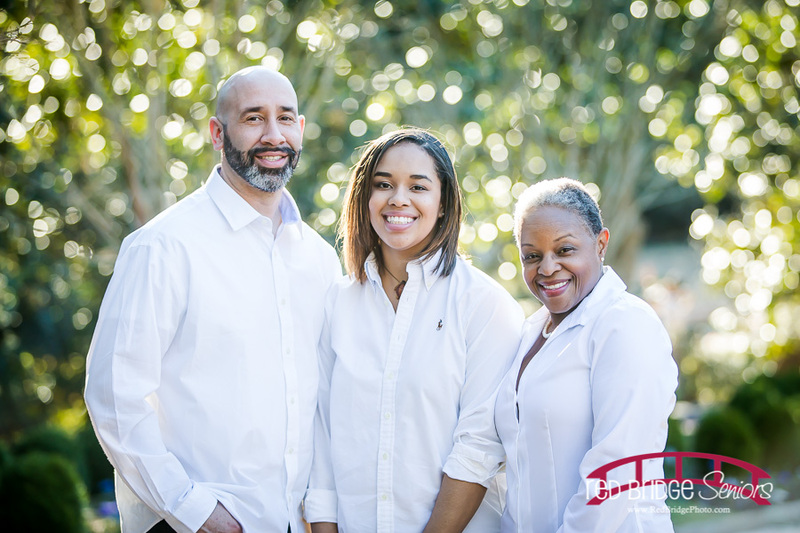 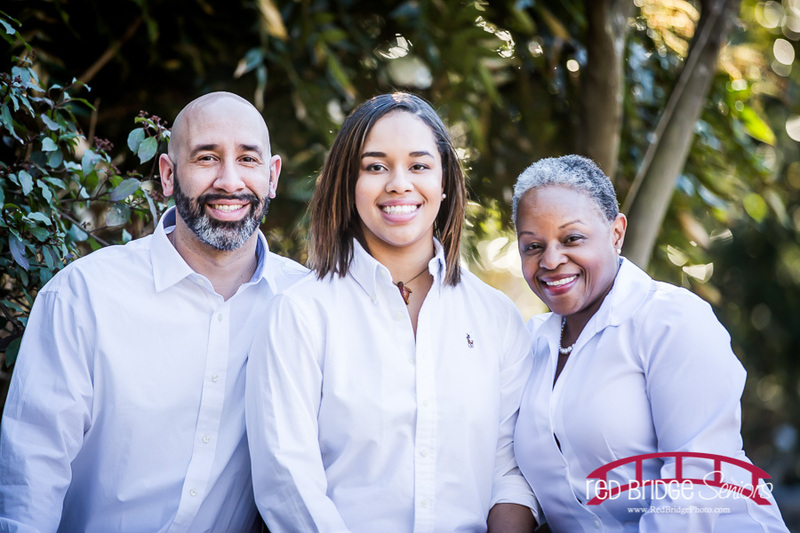 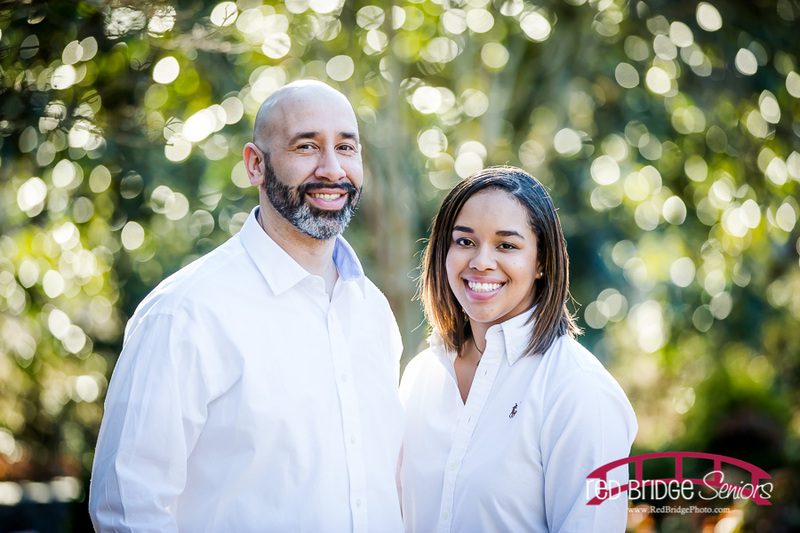 I LOVE to be able to knock as many things out as possible and updated family pictures are so very important! 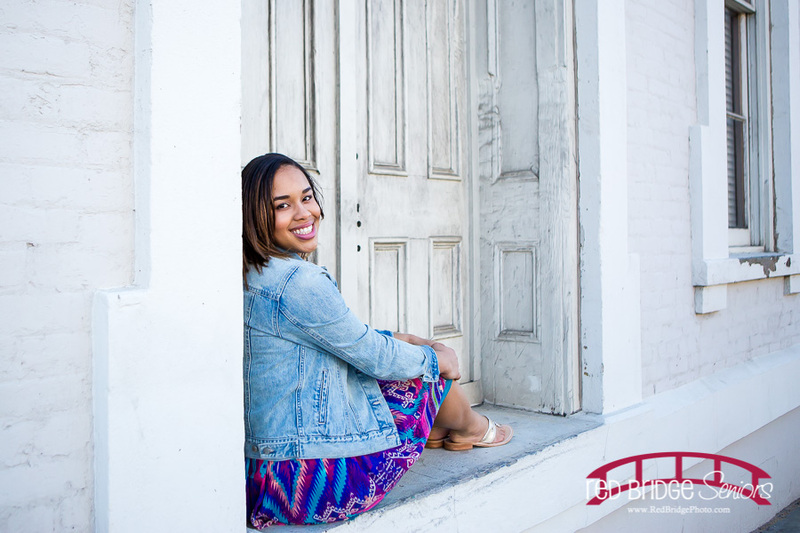 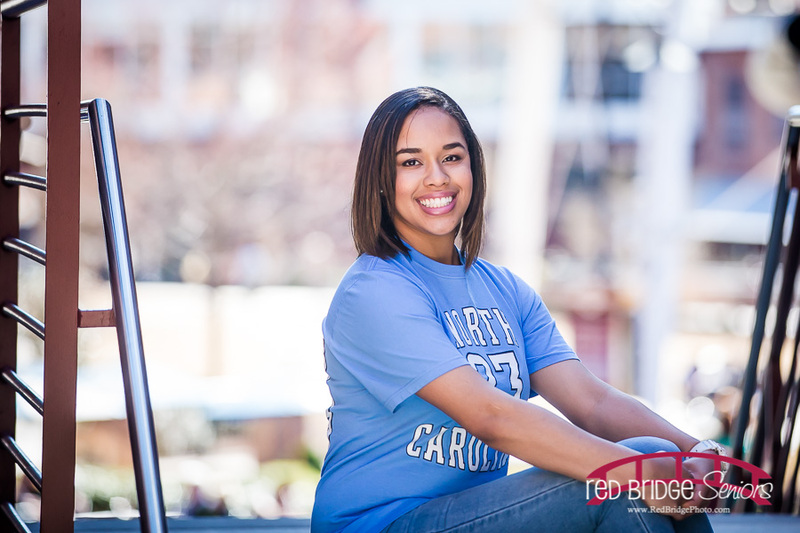 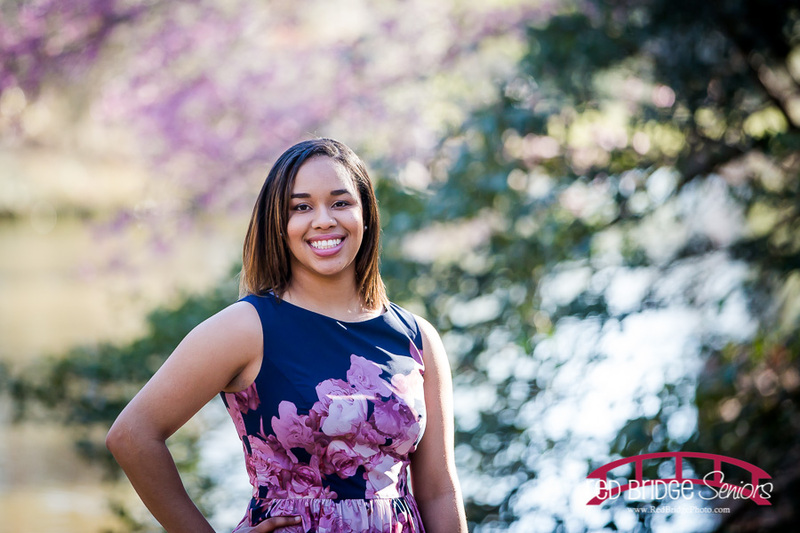 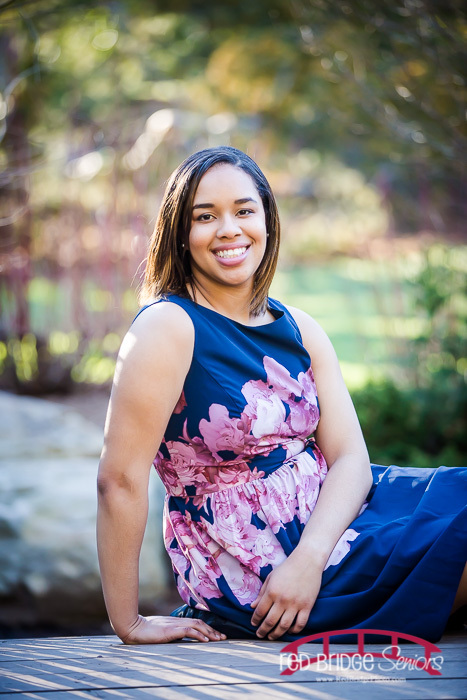 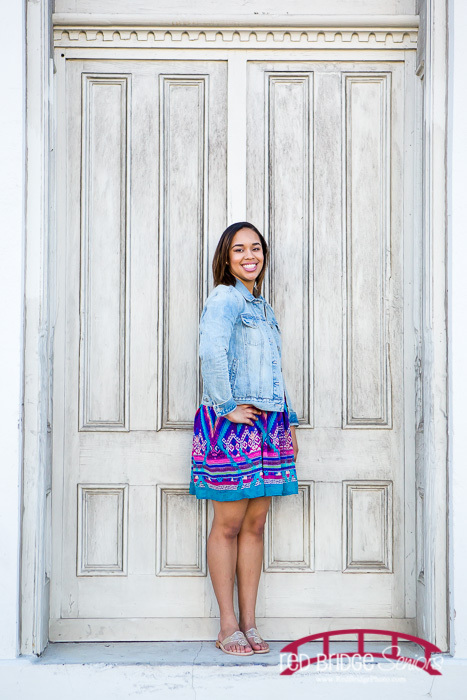 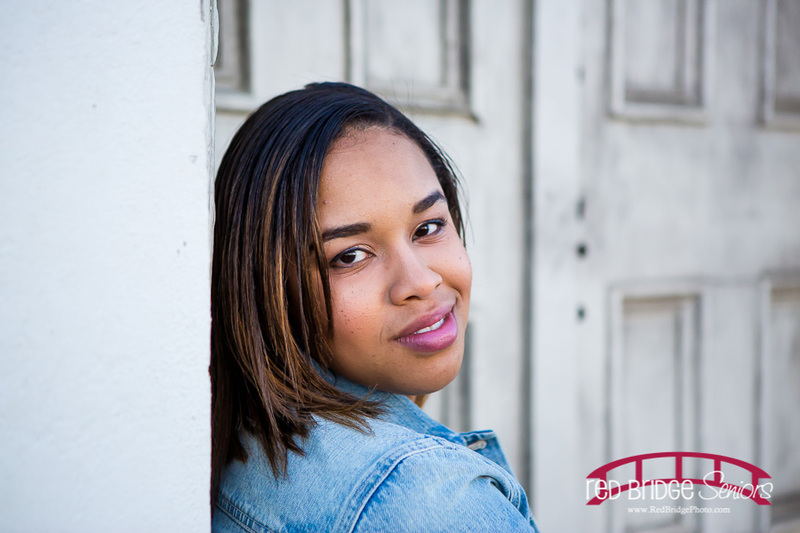 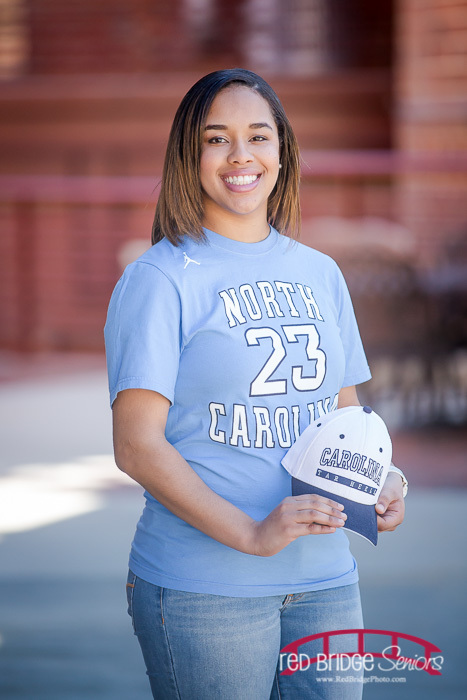 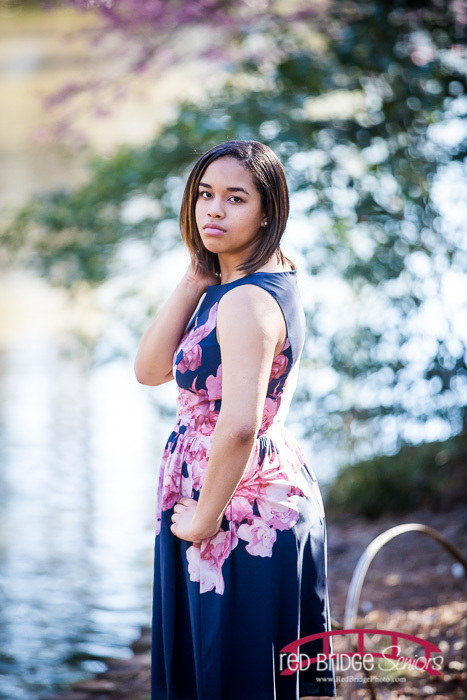 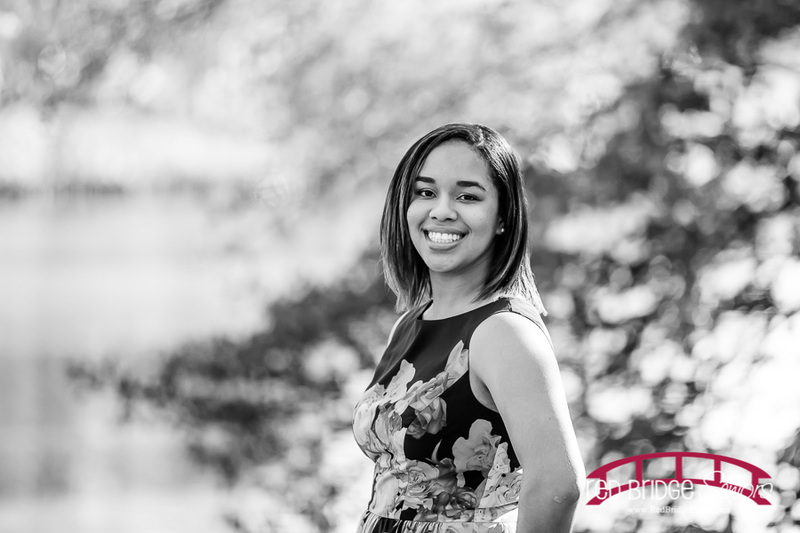 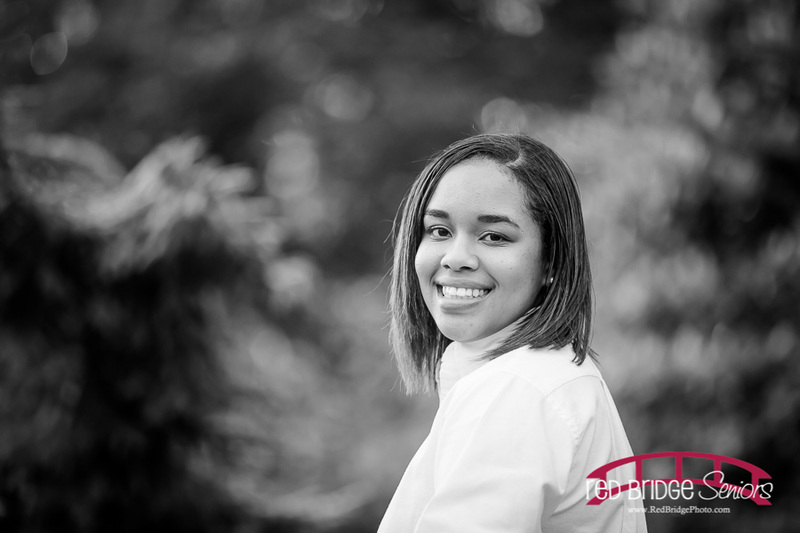 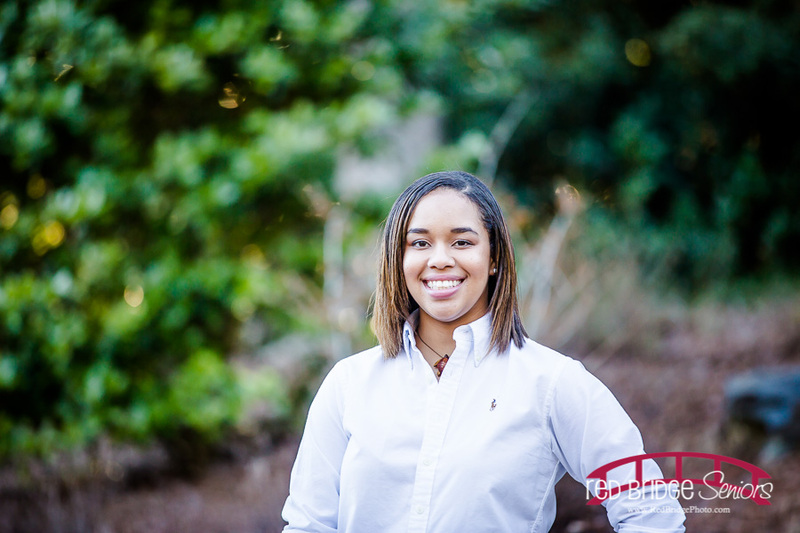 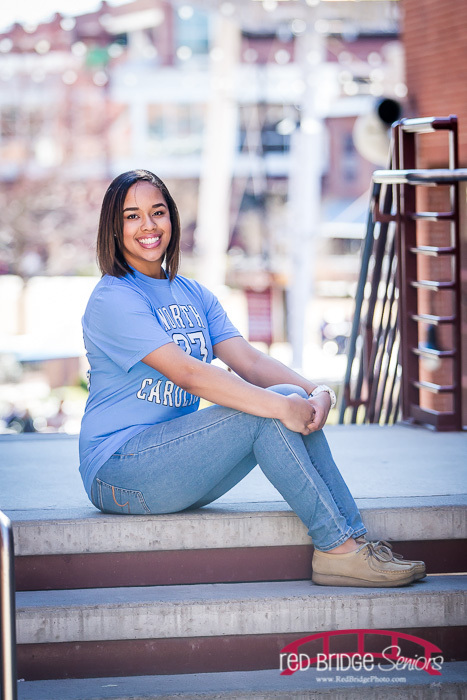 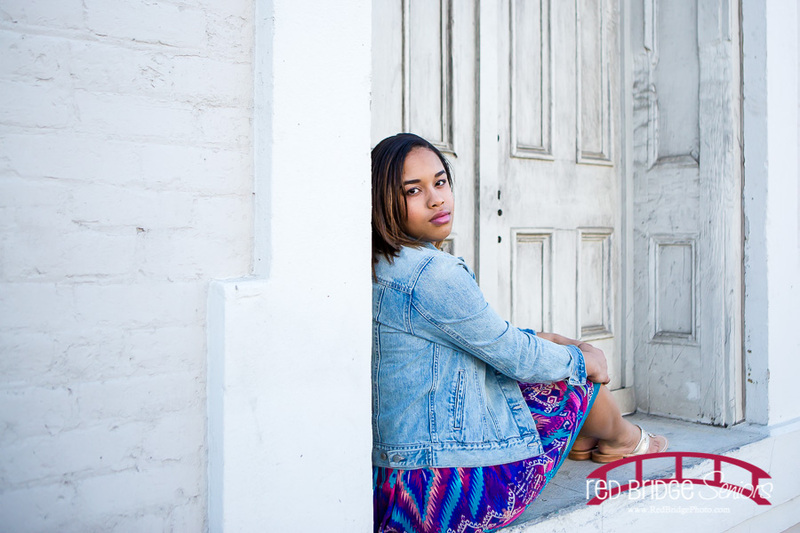 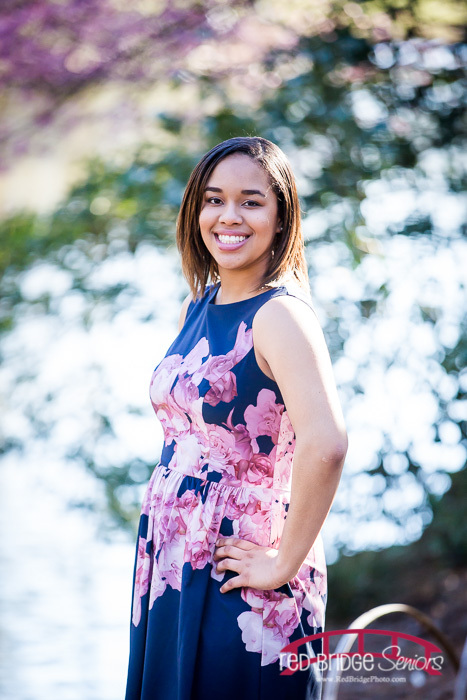 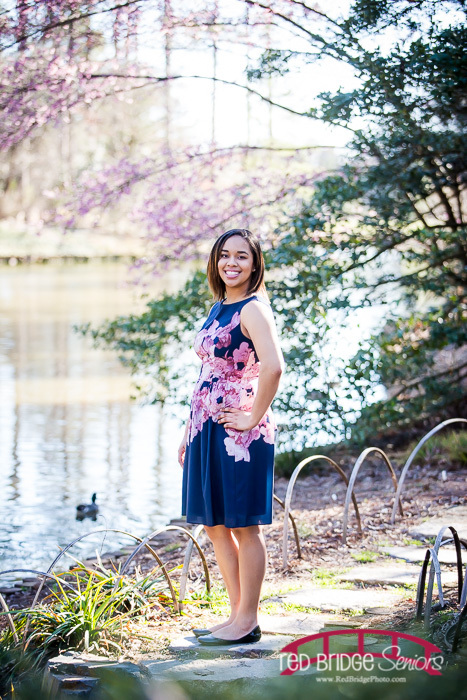 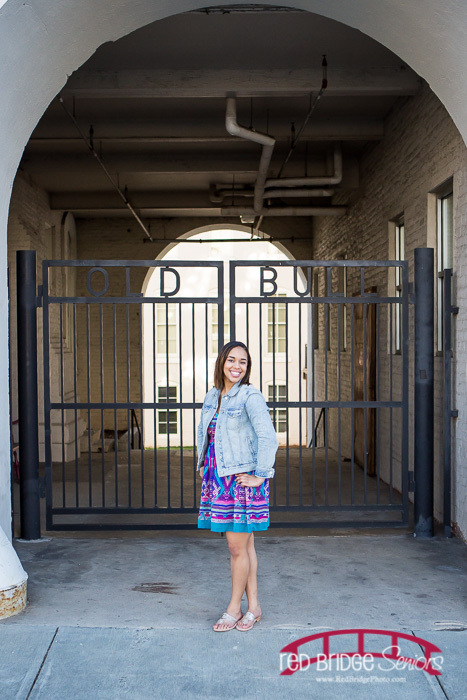 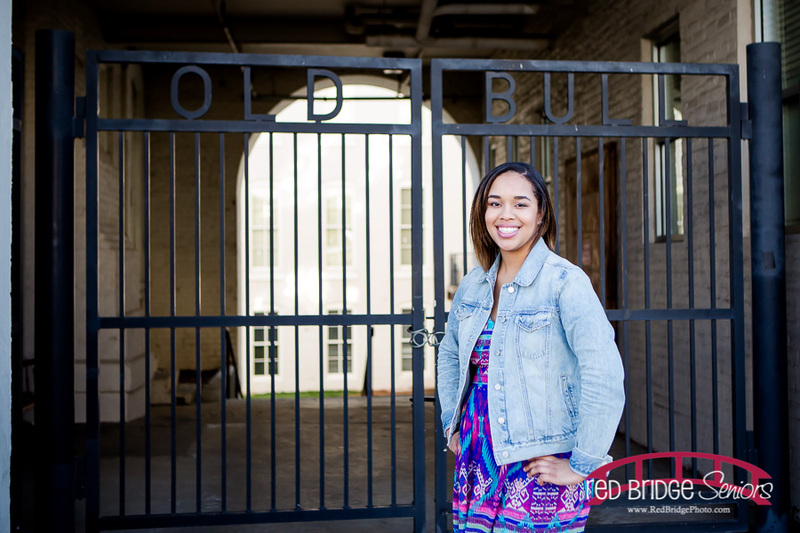 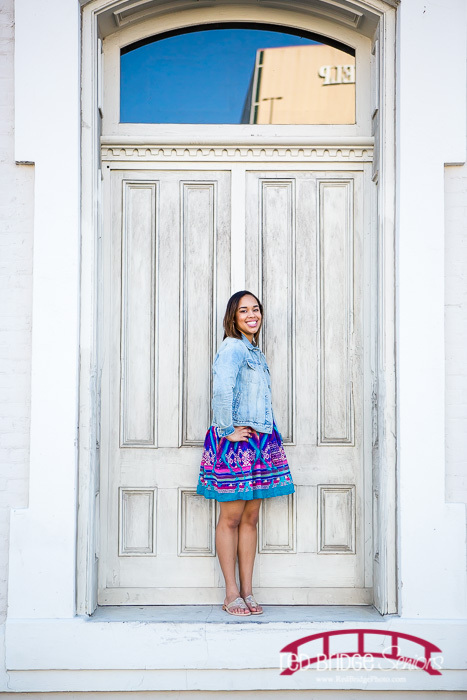 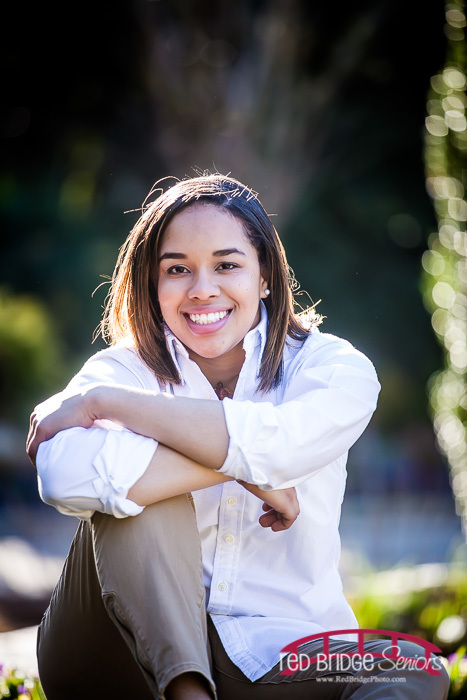 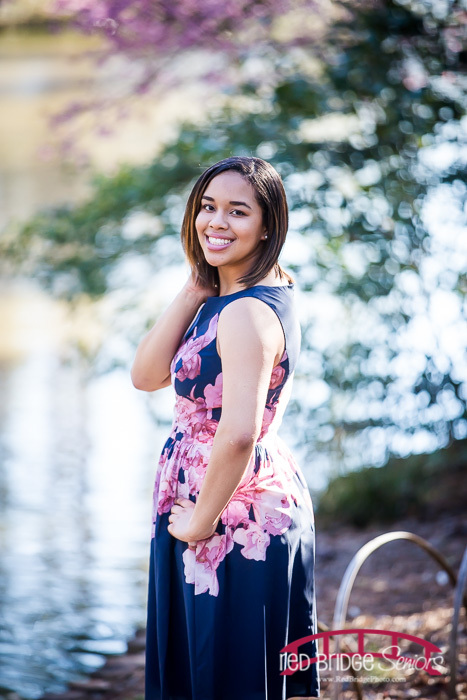 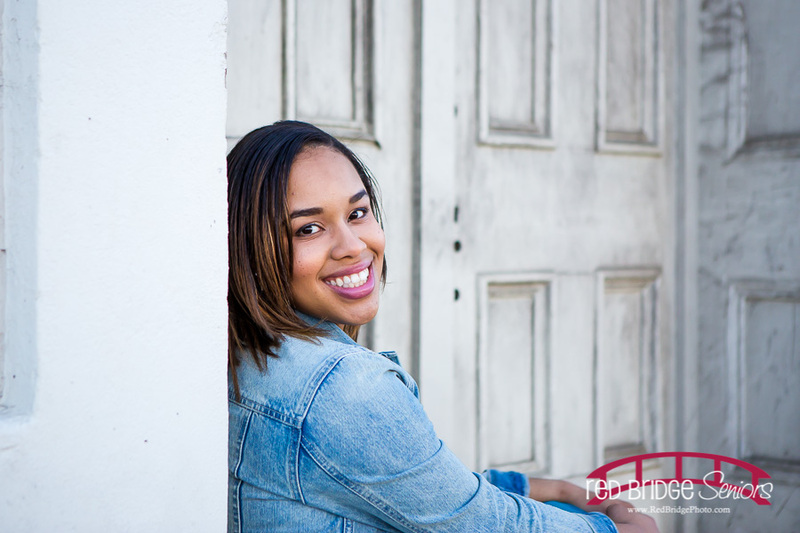 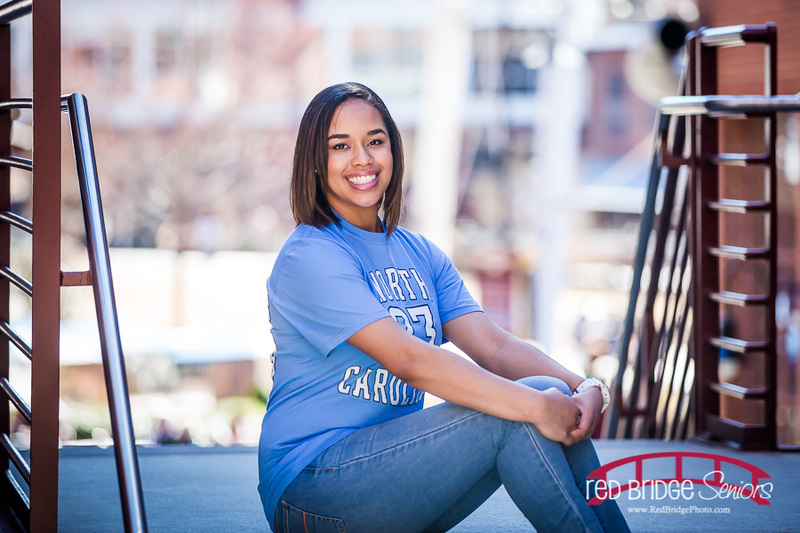 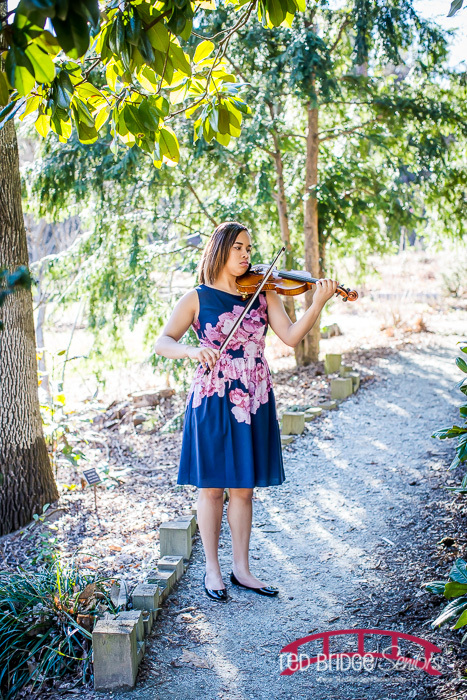 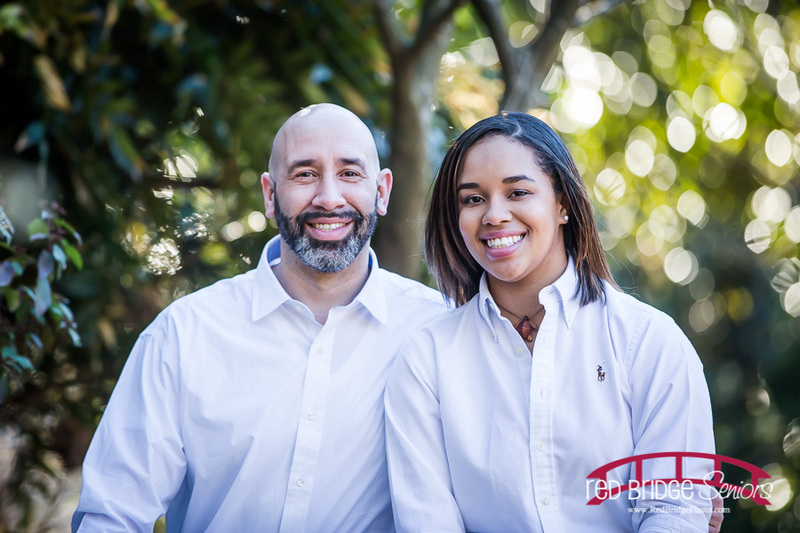 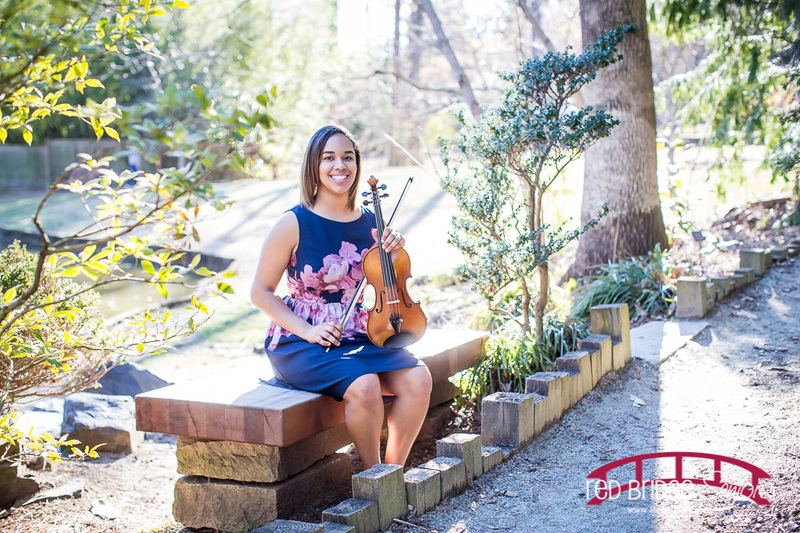 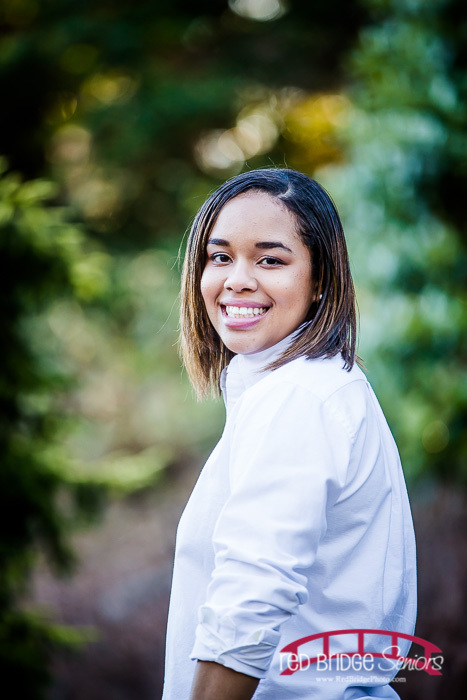 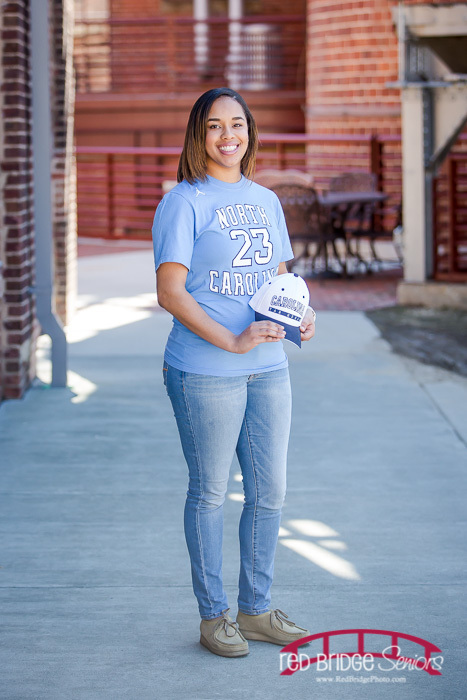 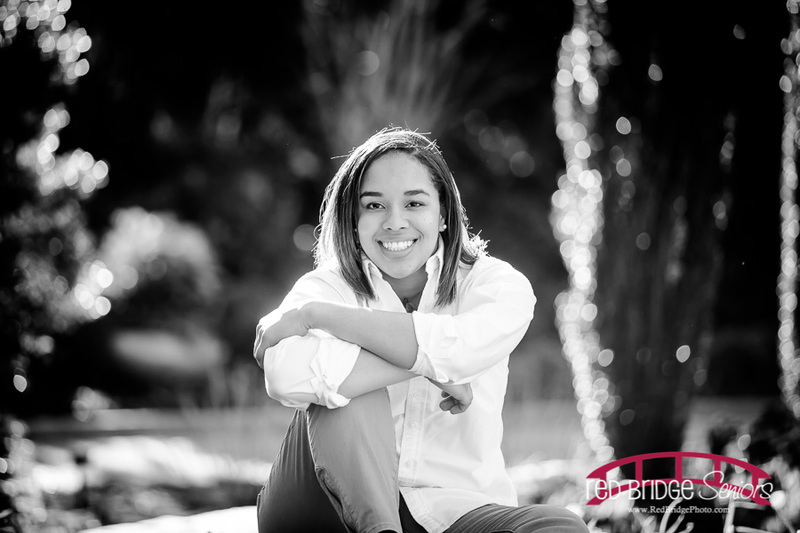 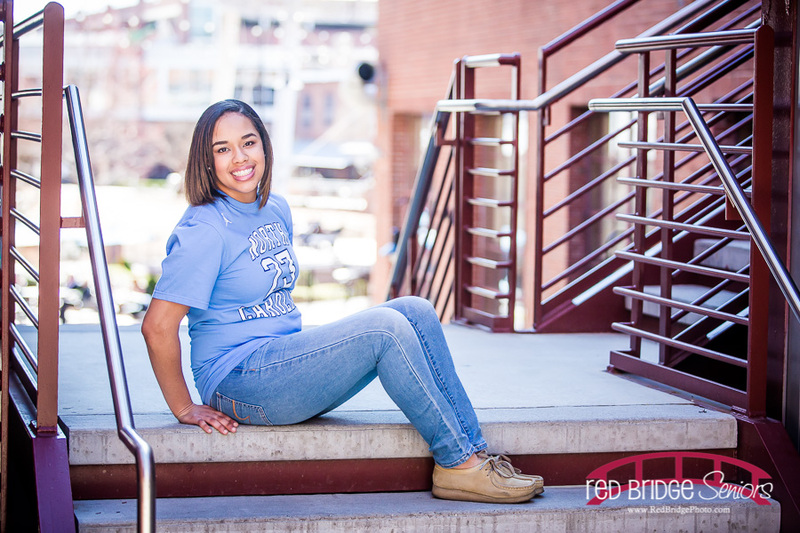 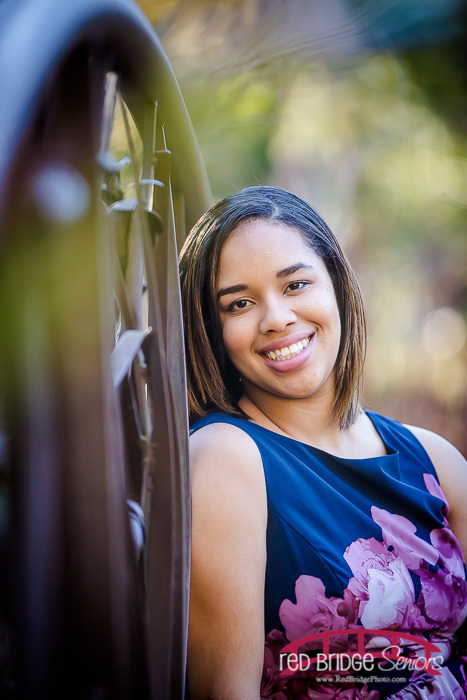 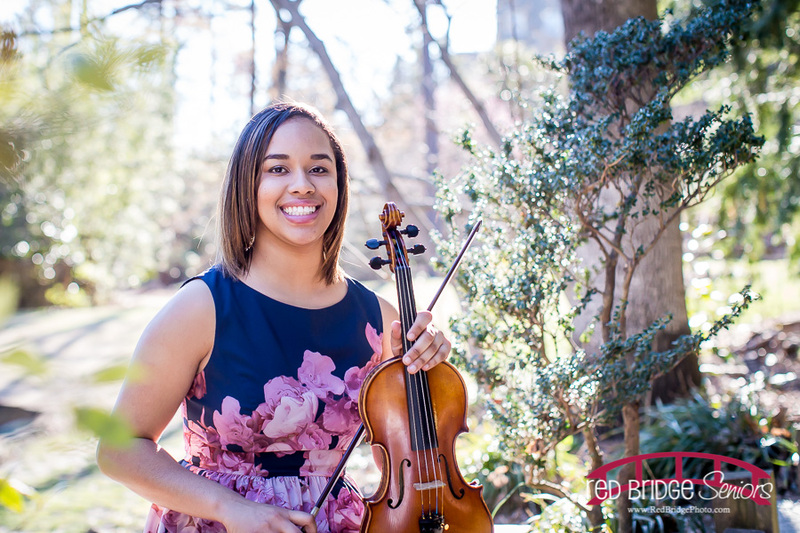 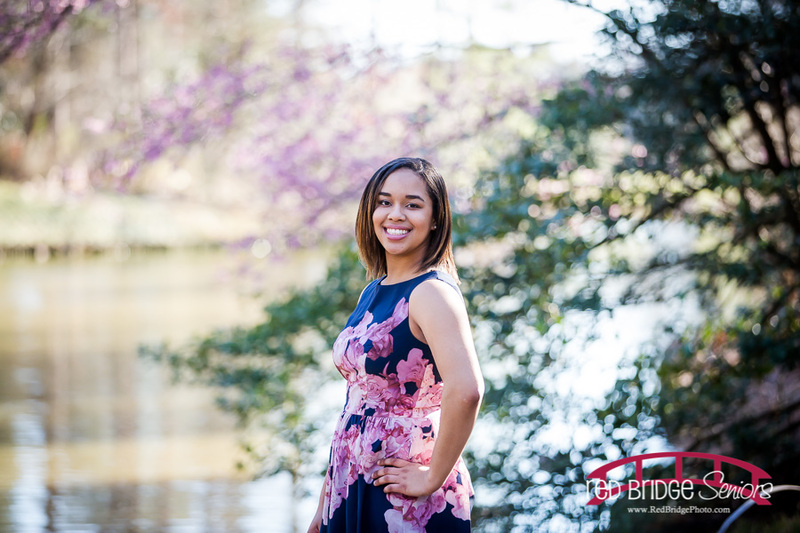 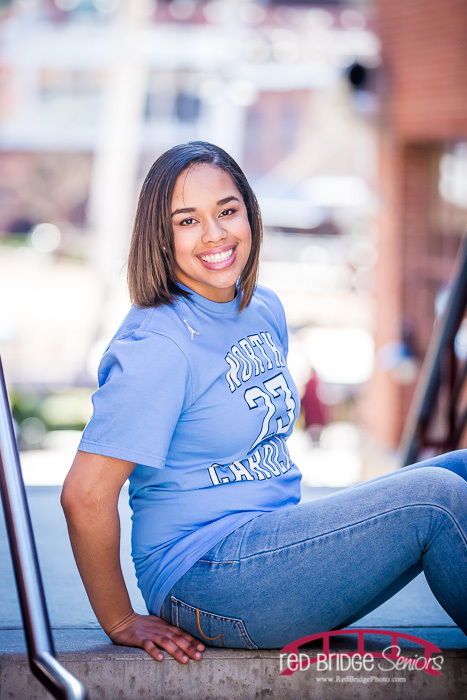 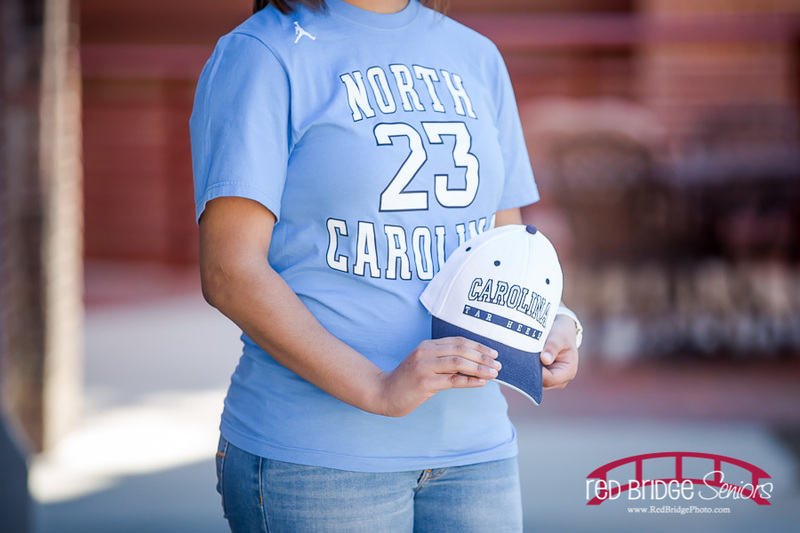 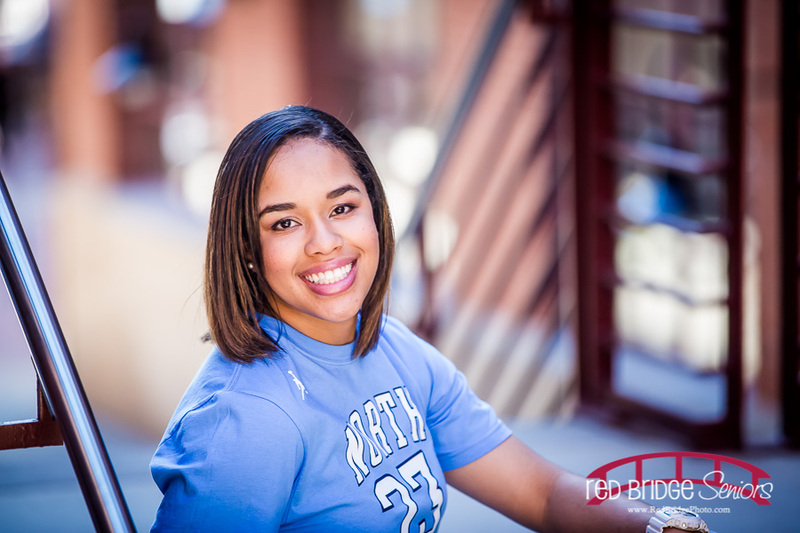 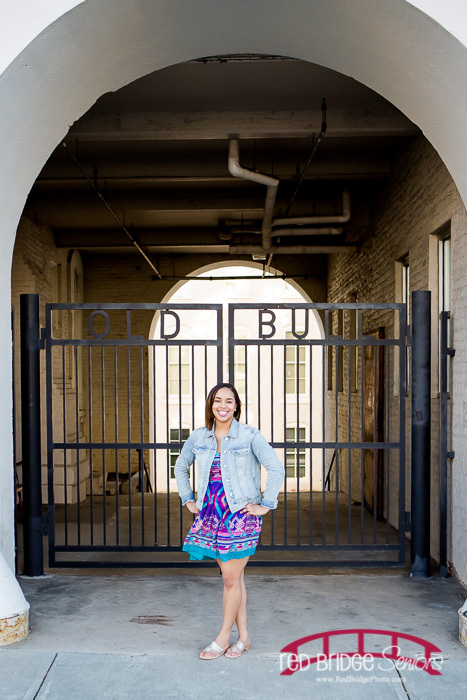 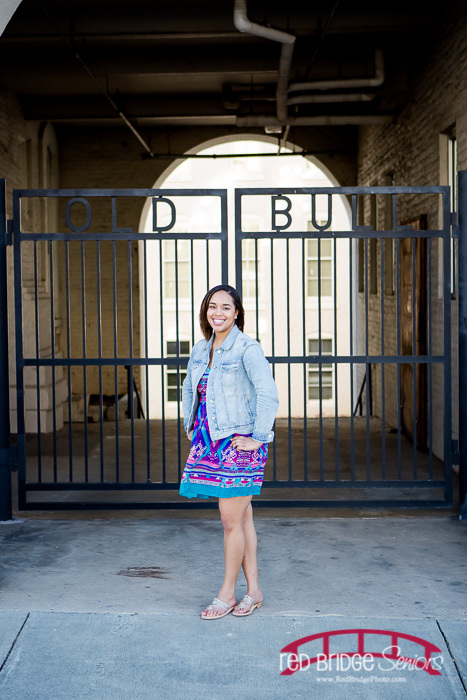 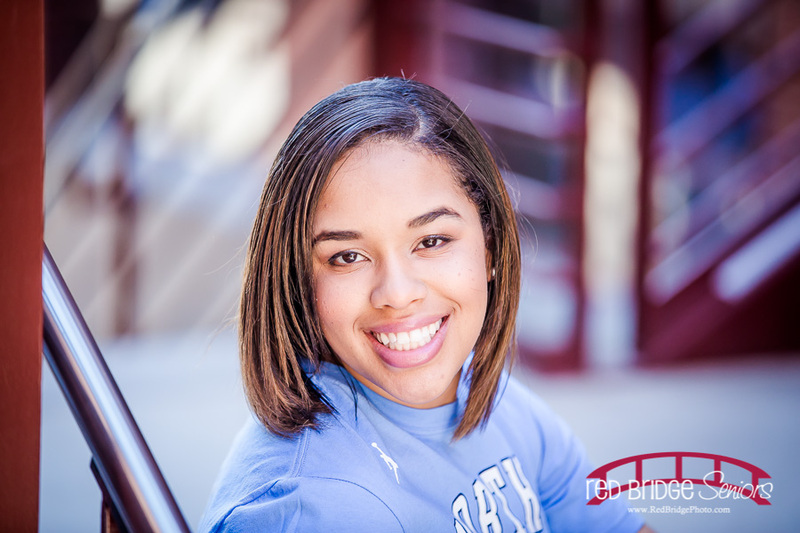 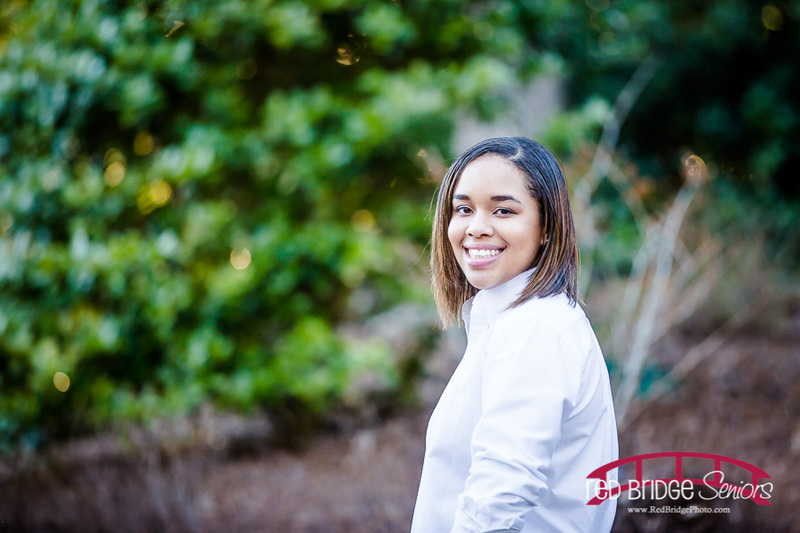 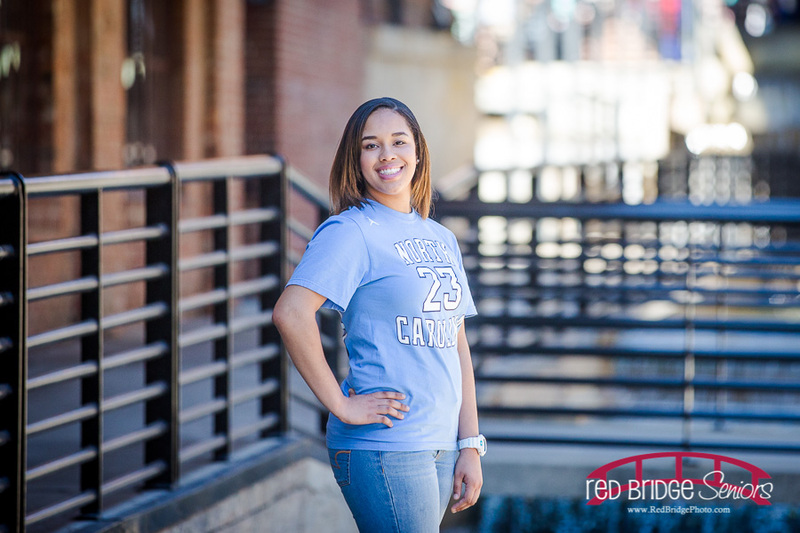 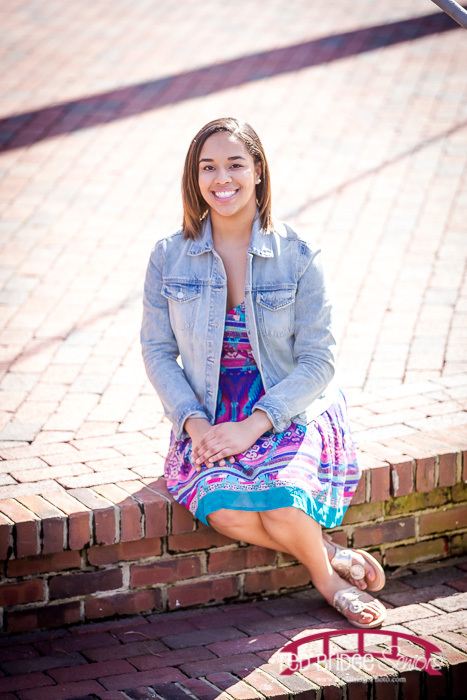 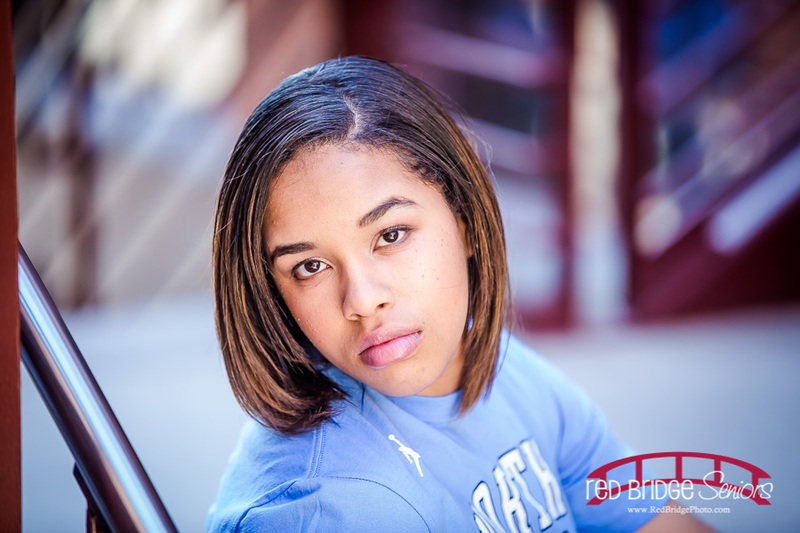 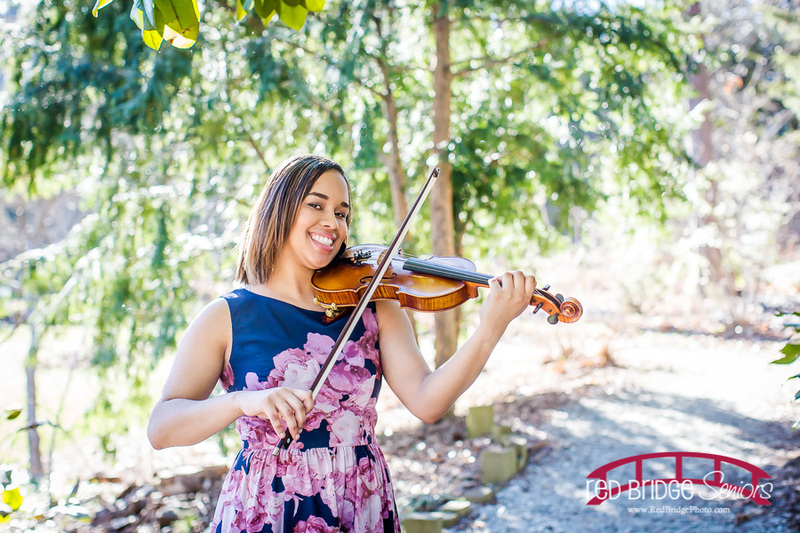 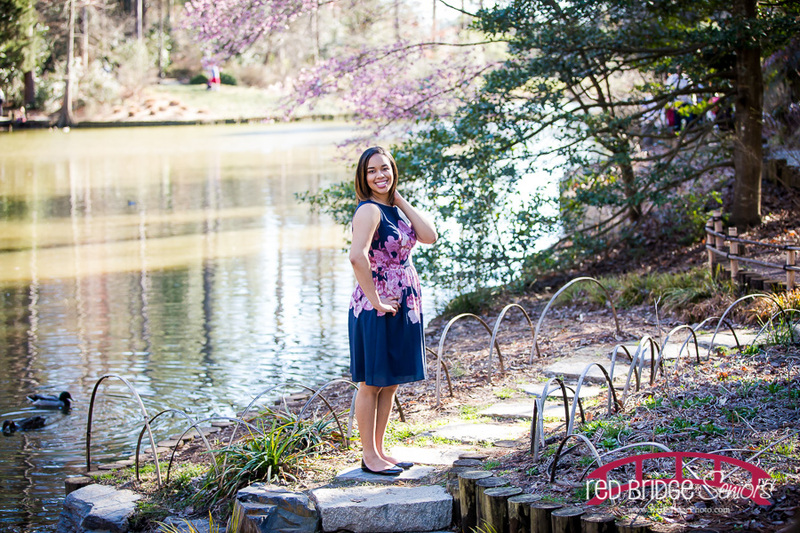 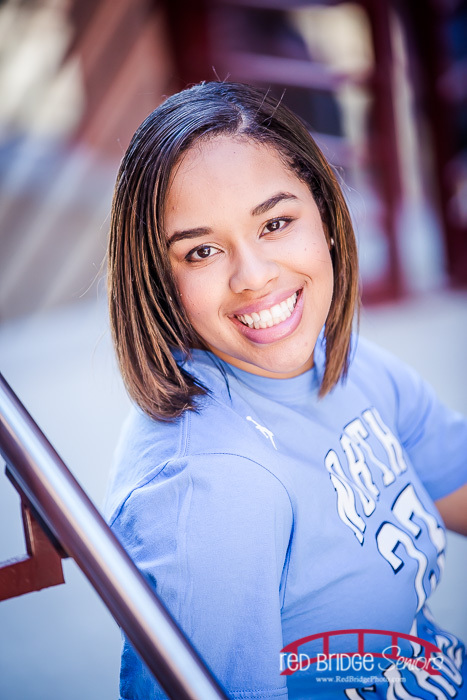 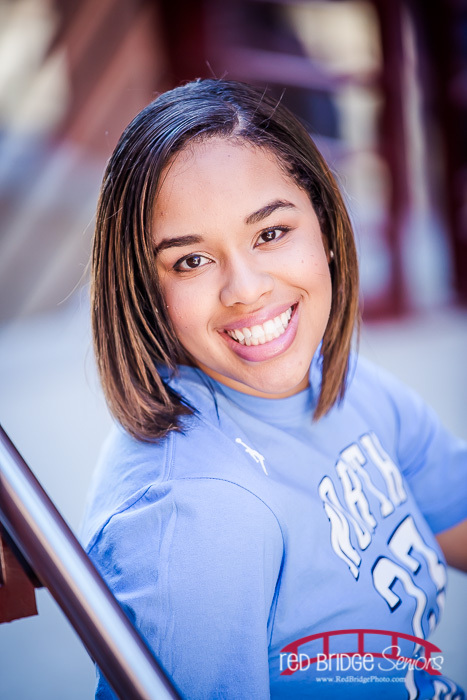 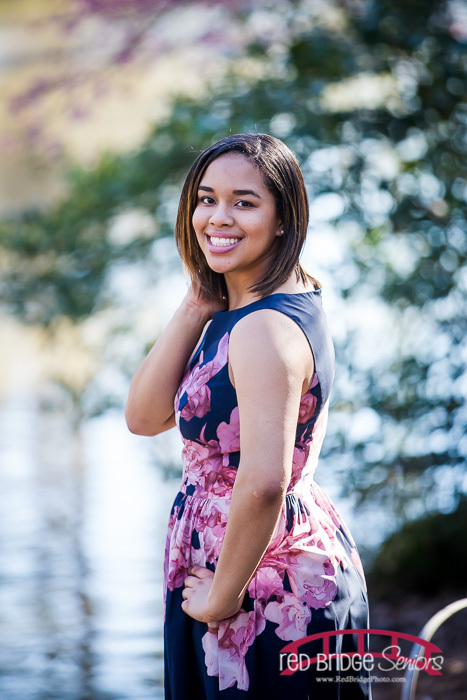 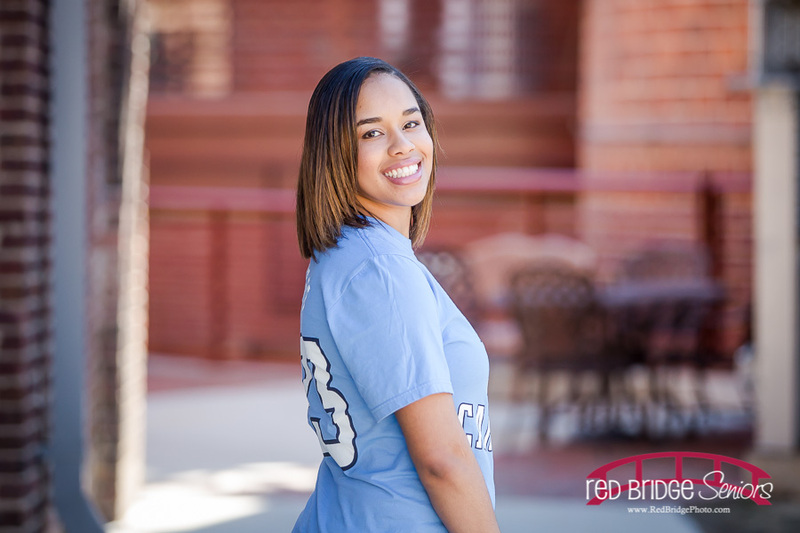 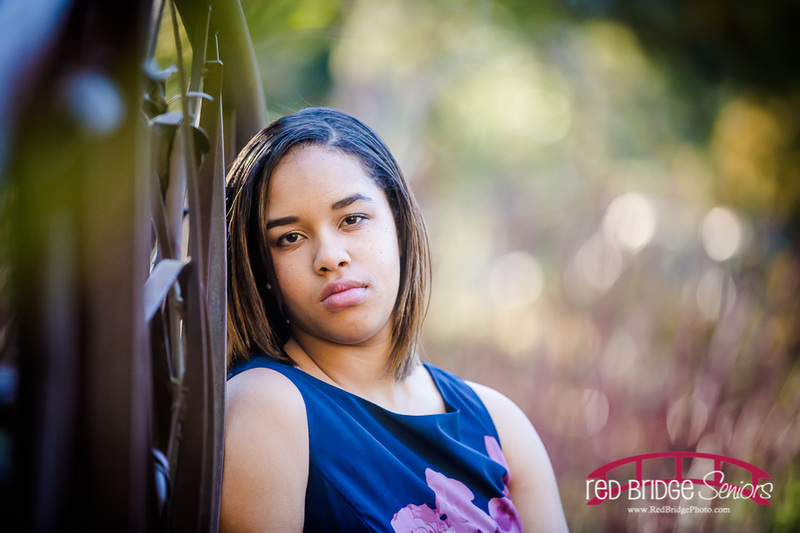 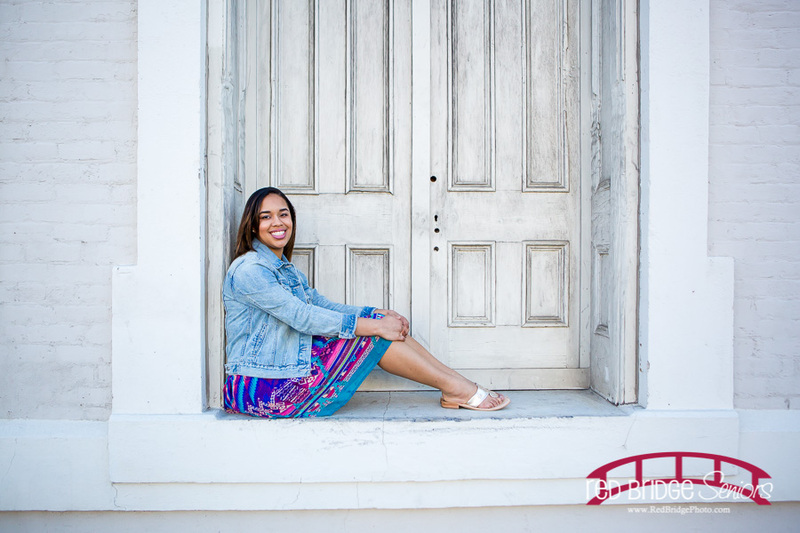 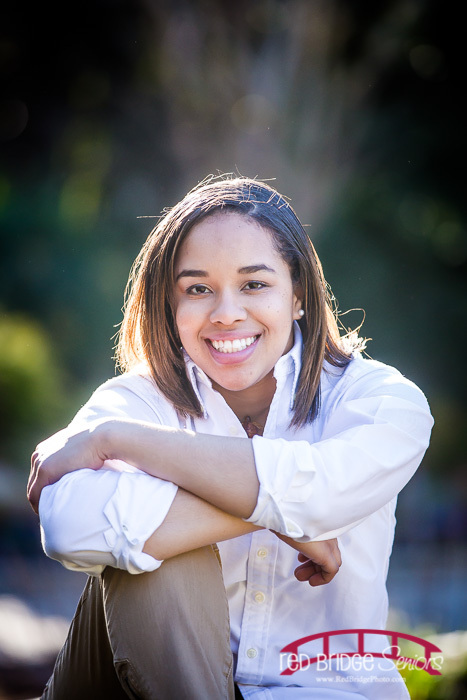 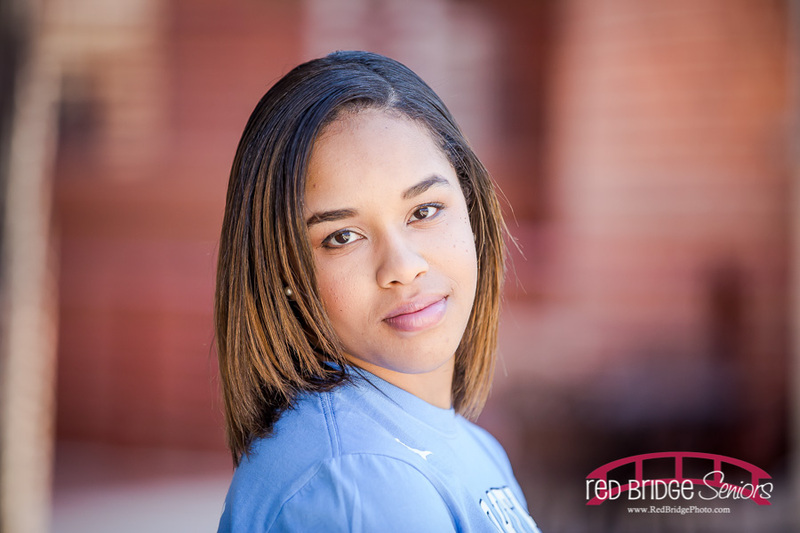 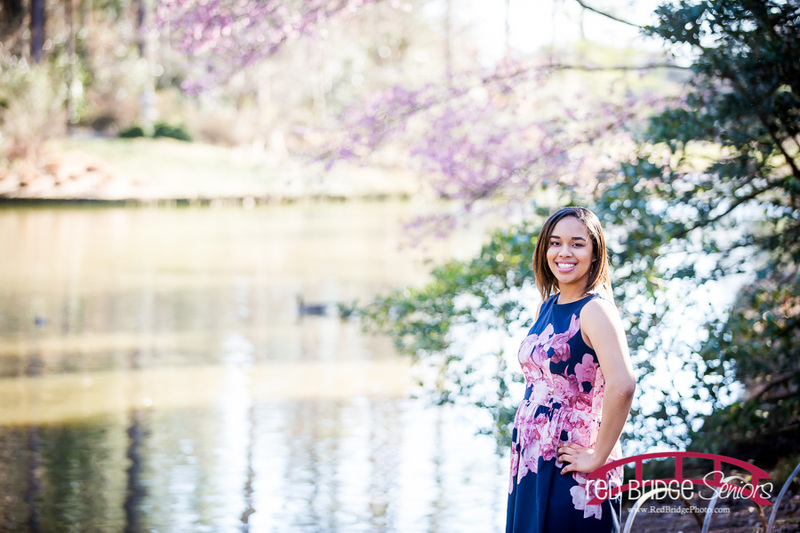 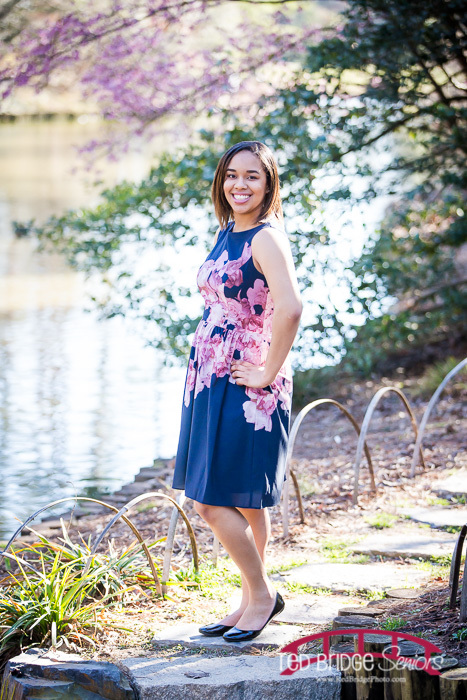 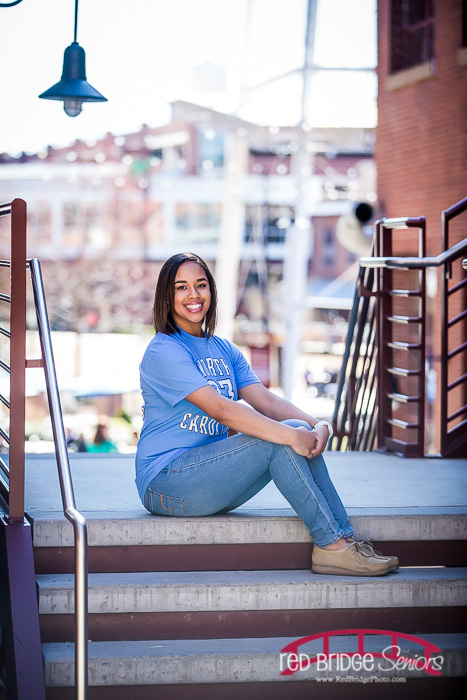 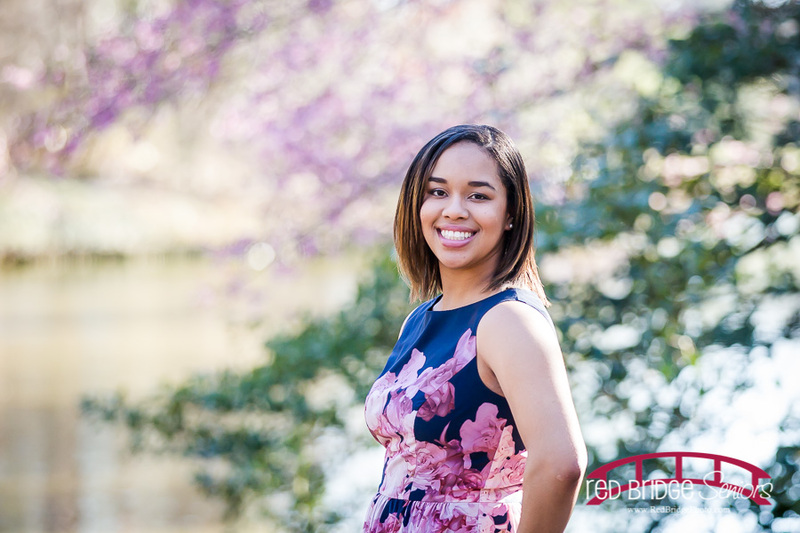 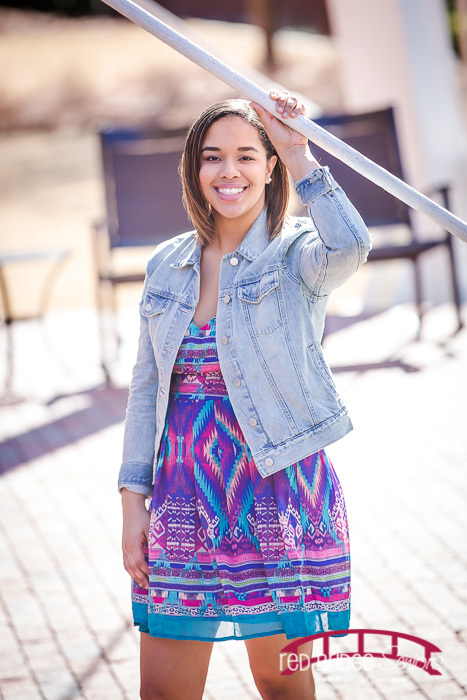 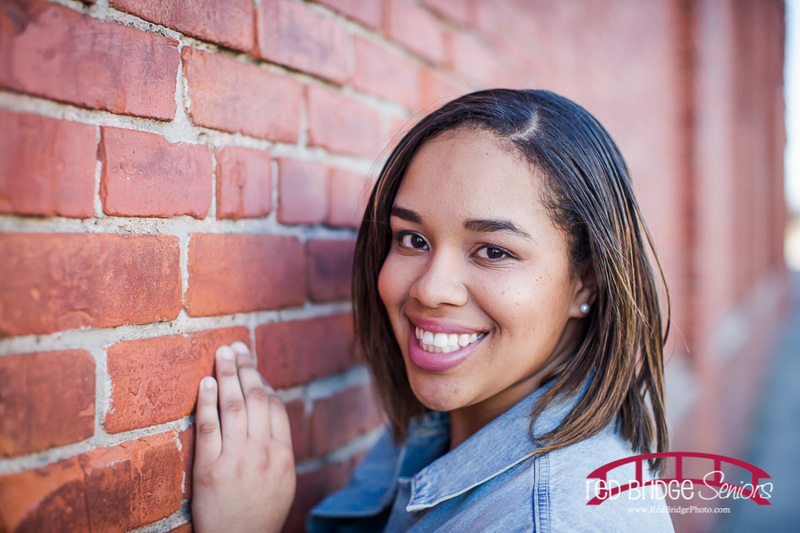 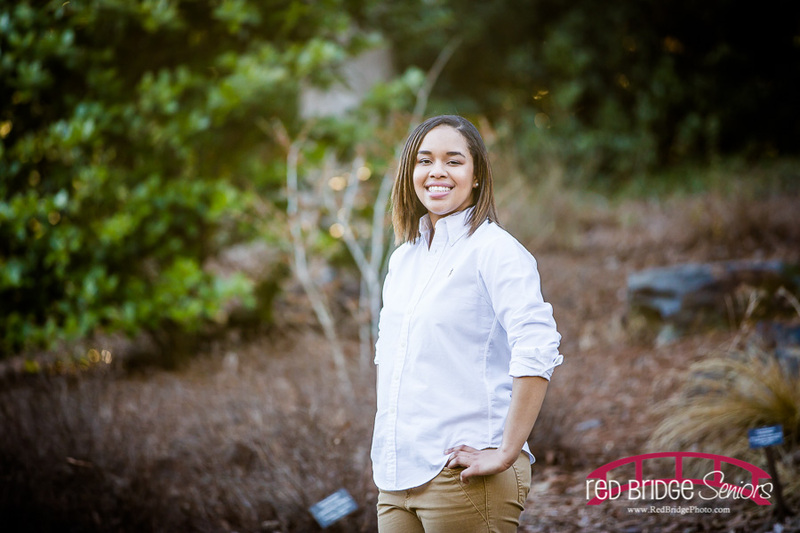 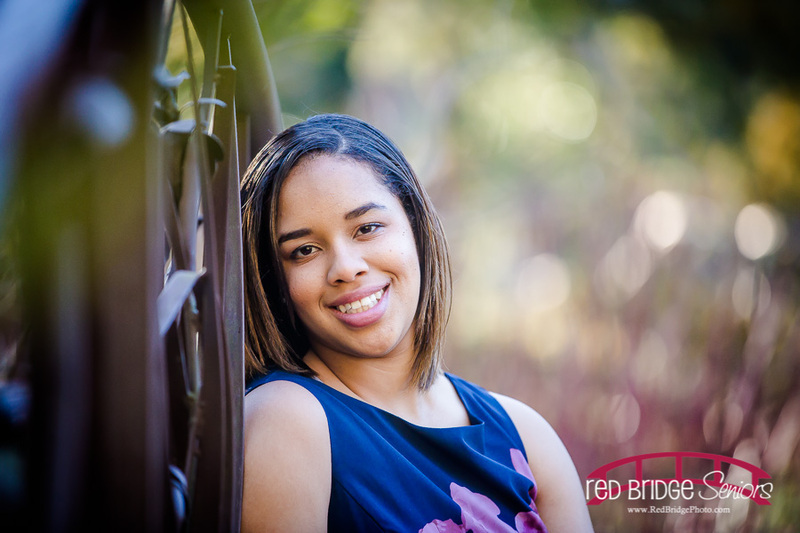 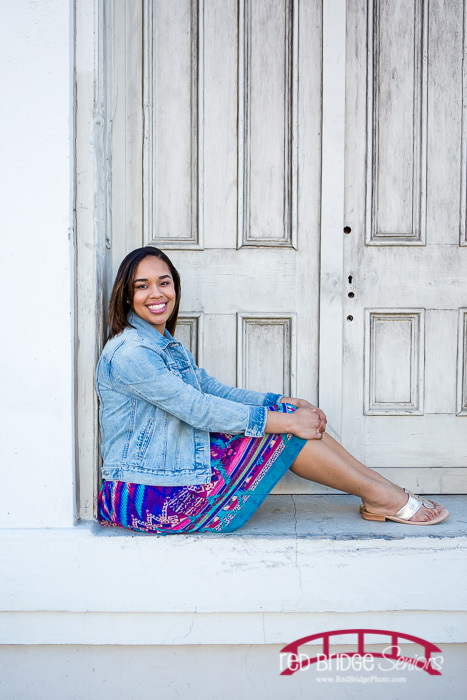 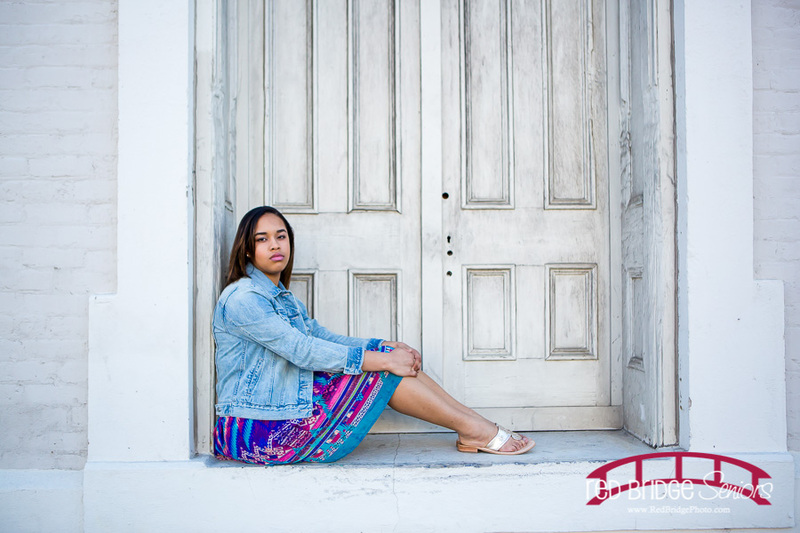 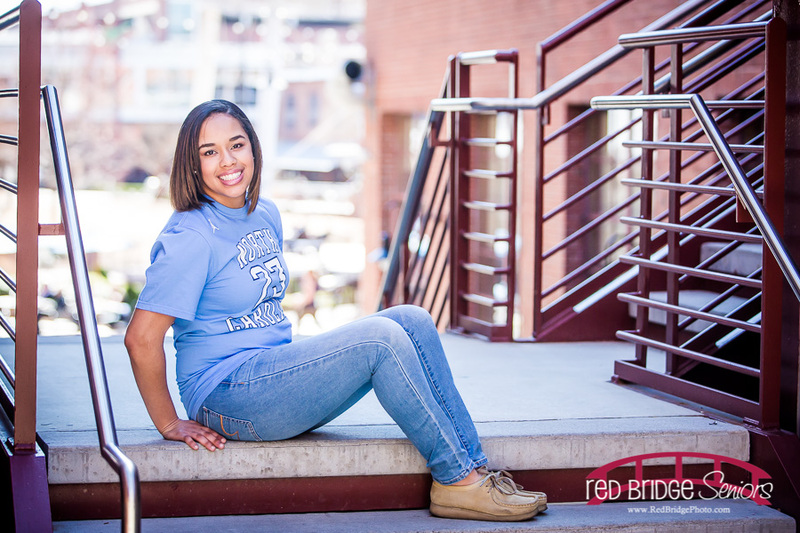 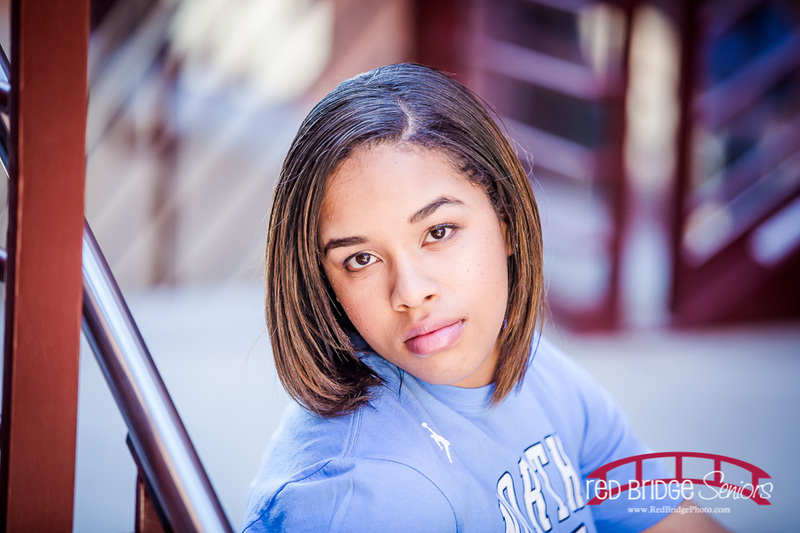 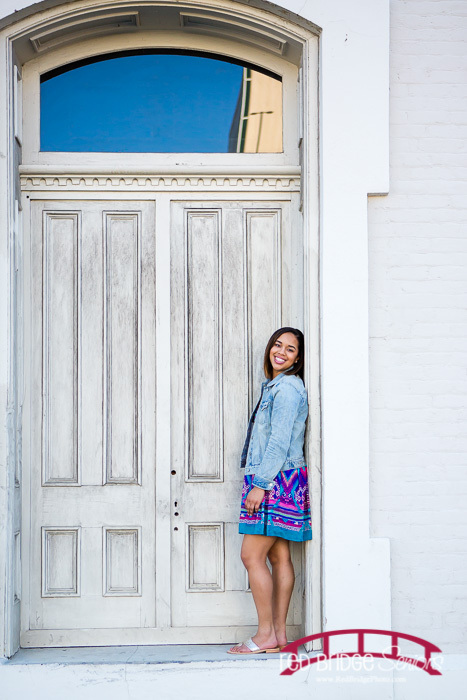 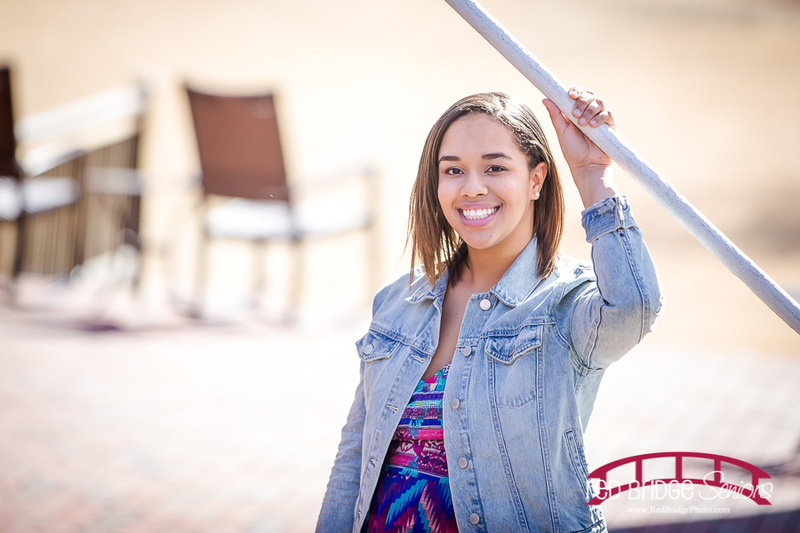 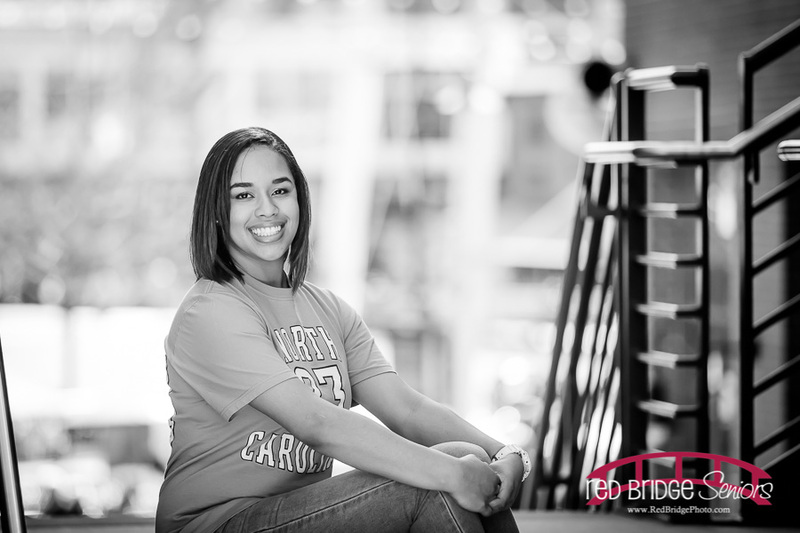 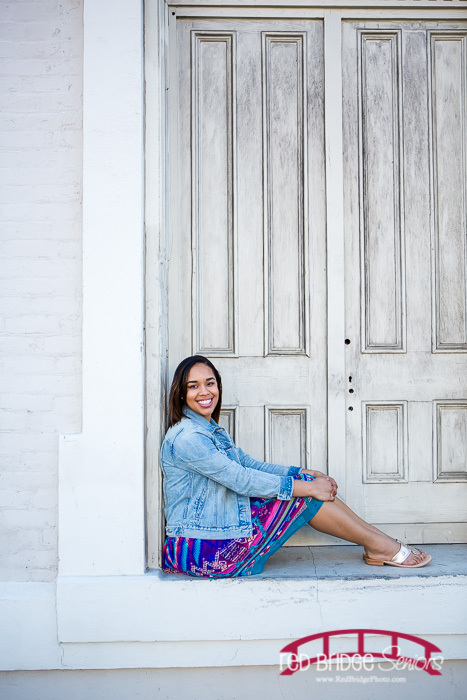 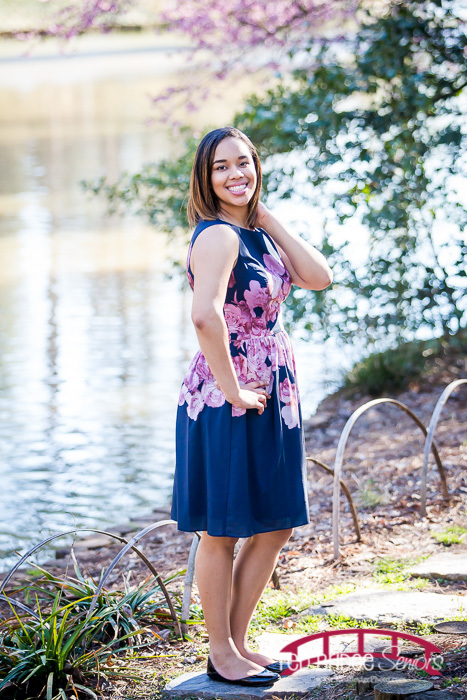 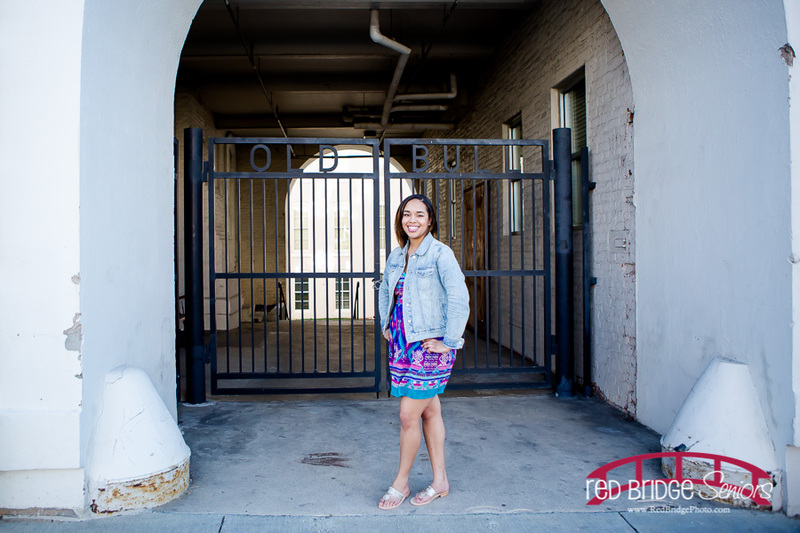 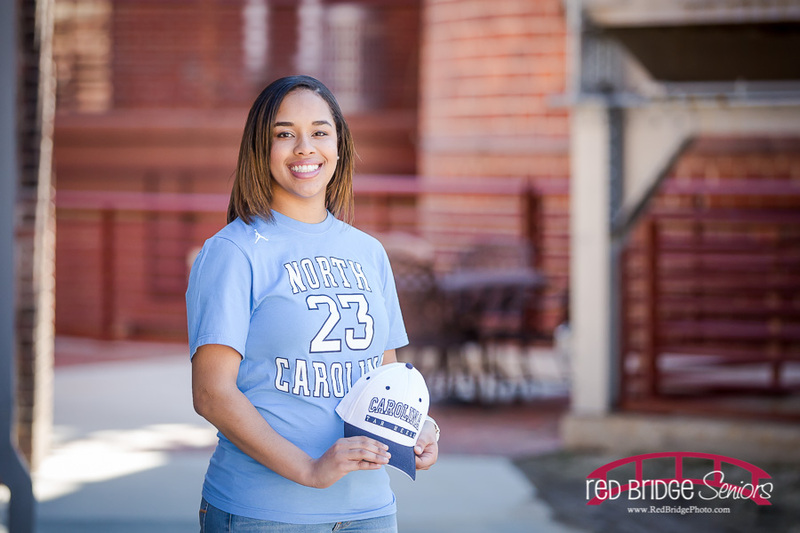 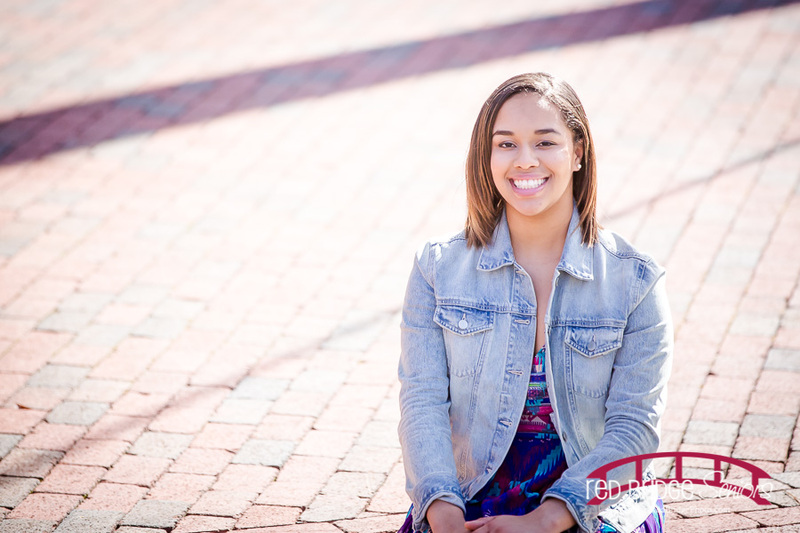 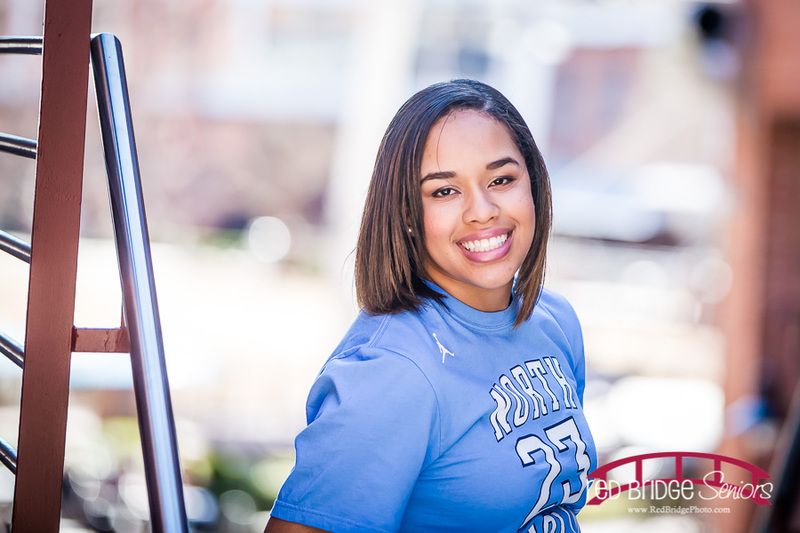 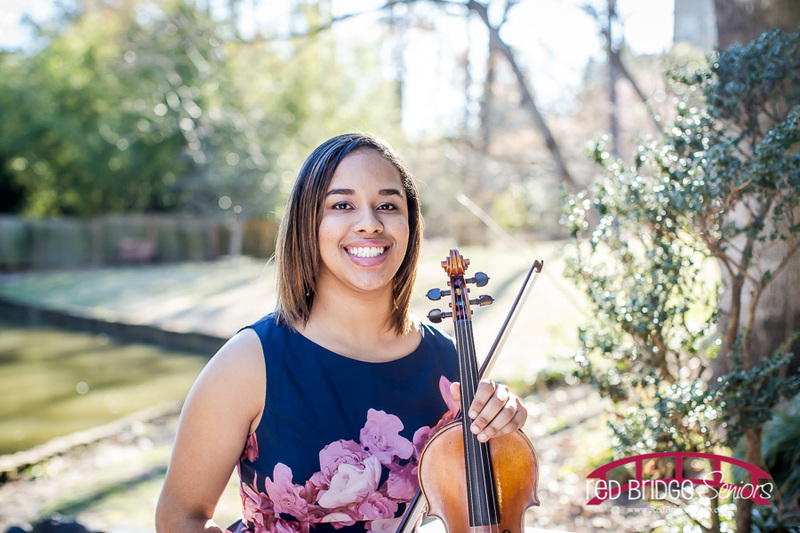 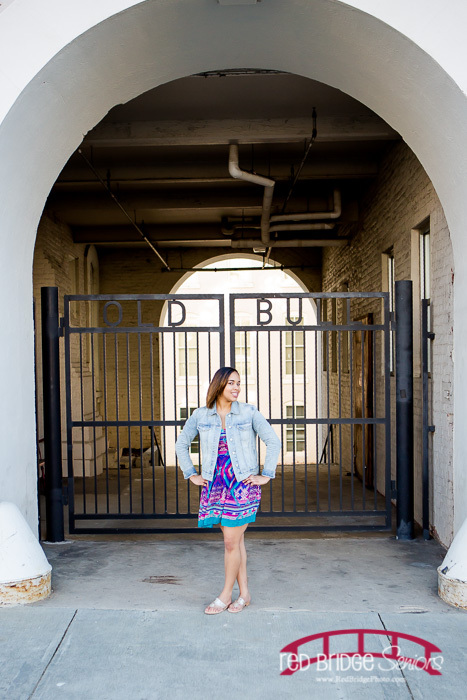 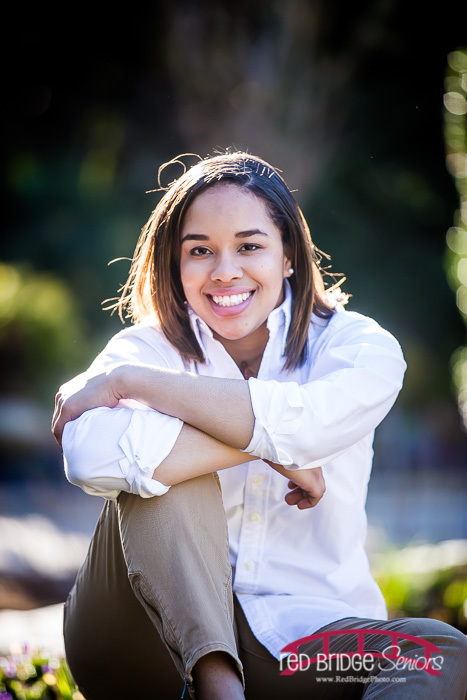 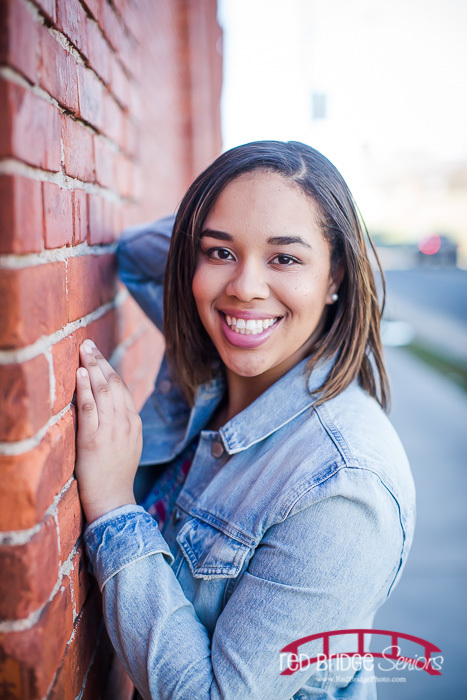 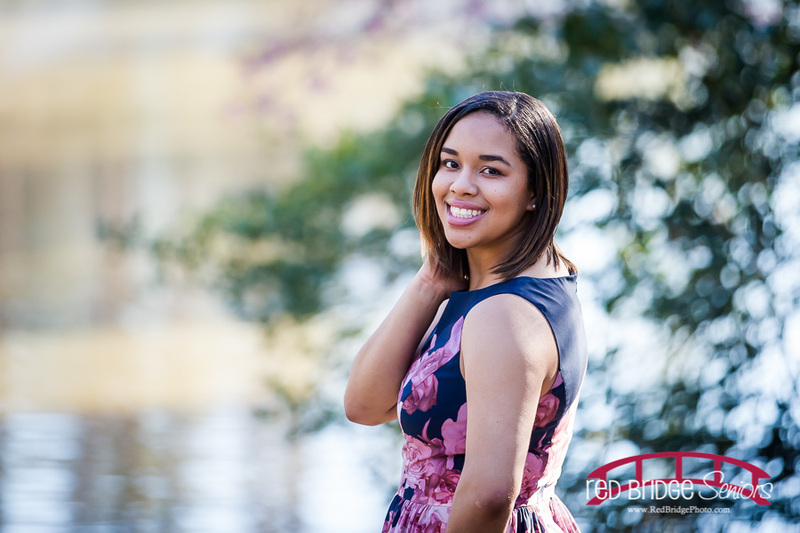 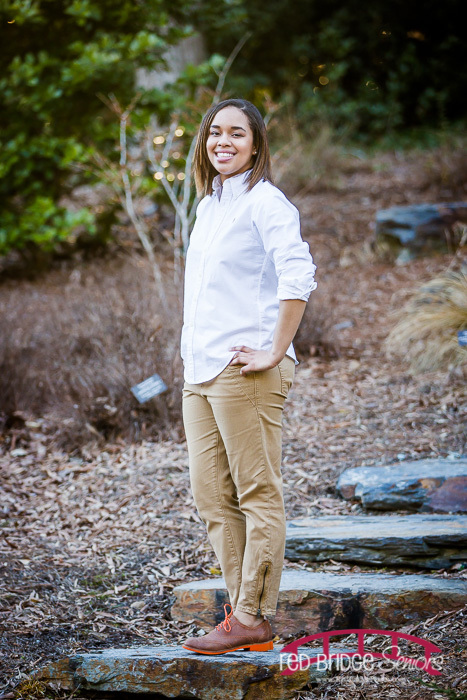 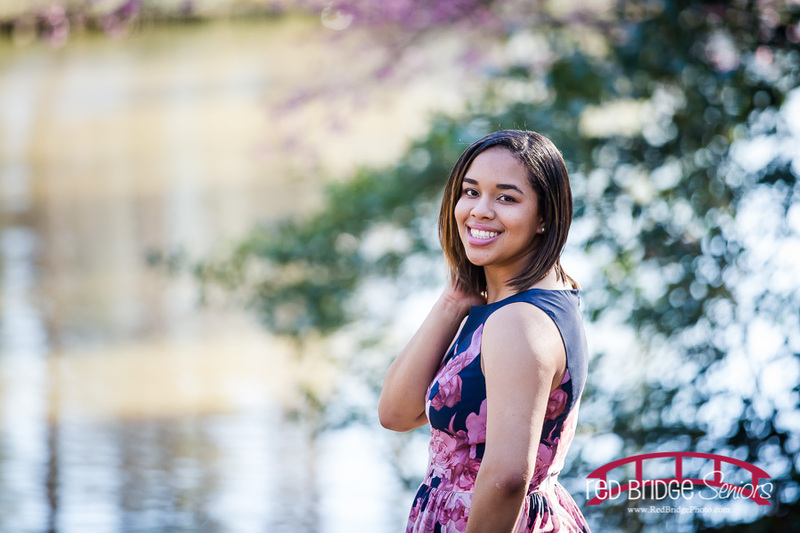 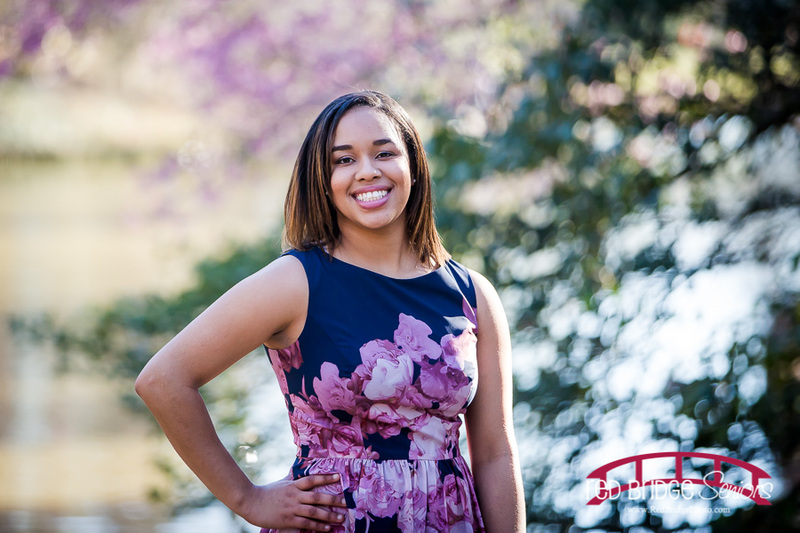 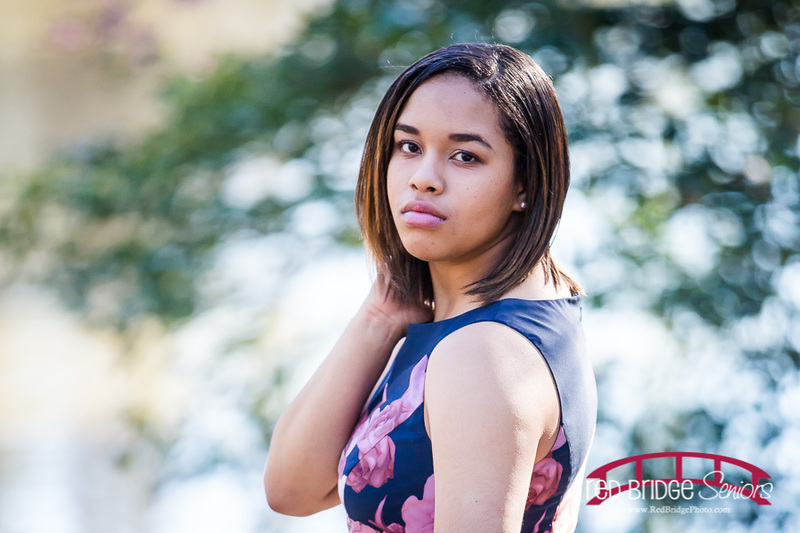 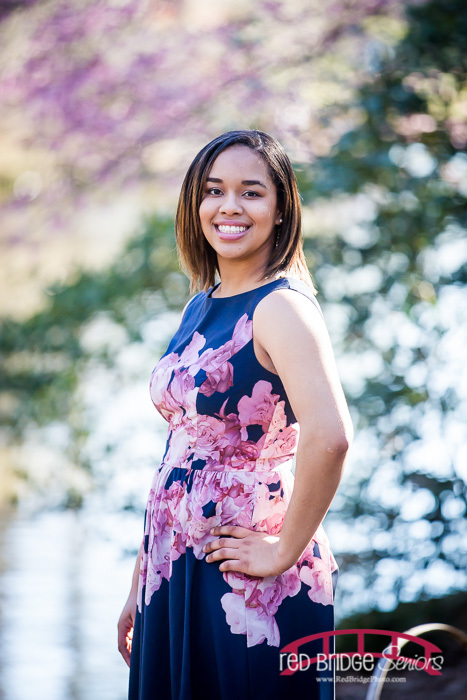 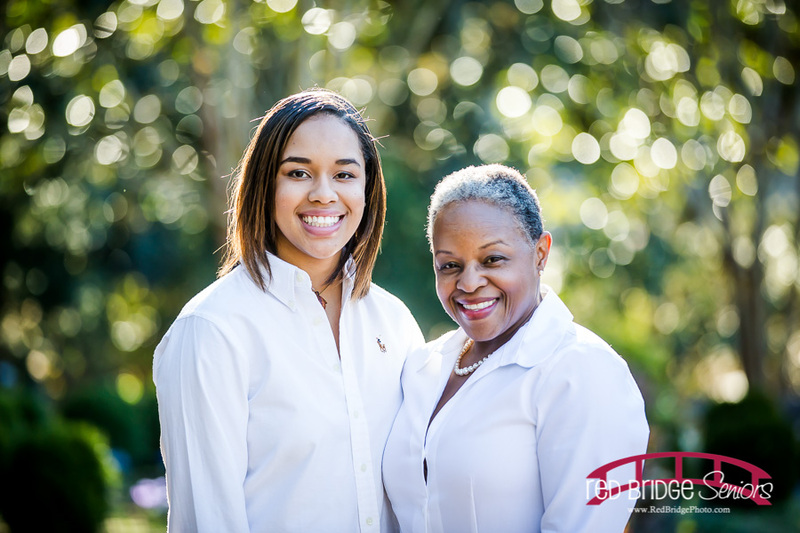 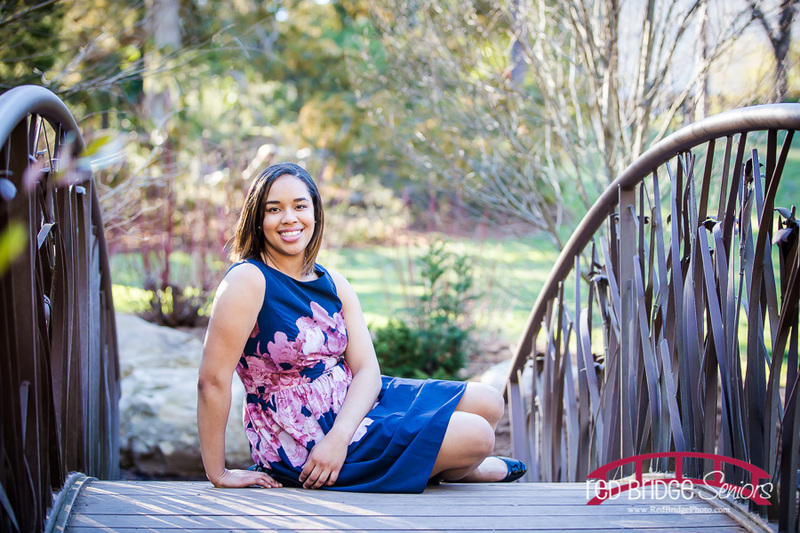 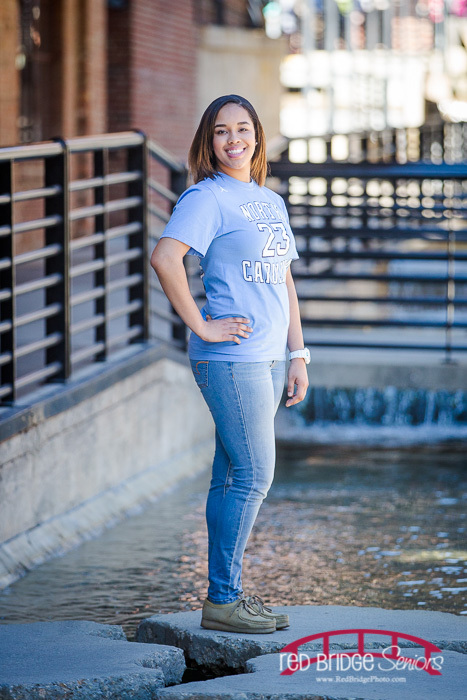 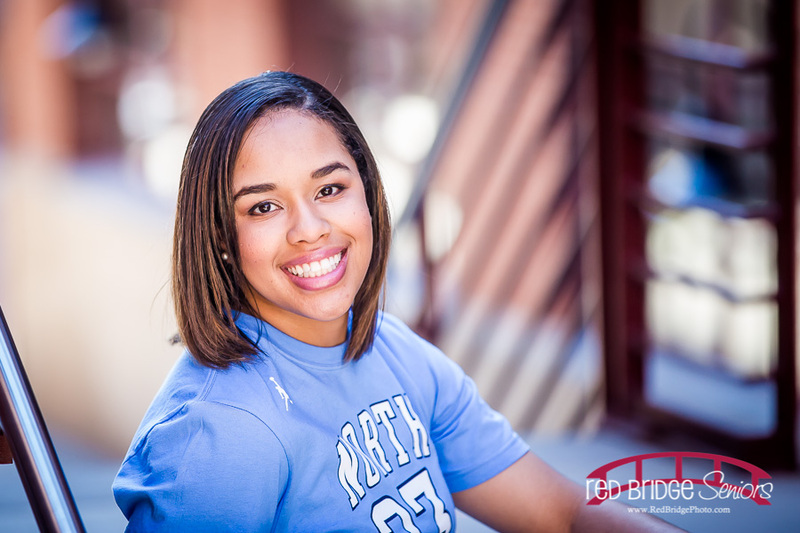 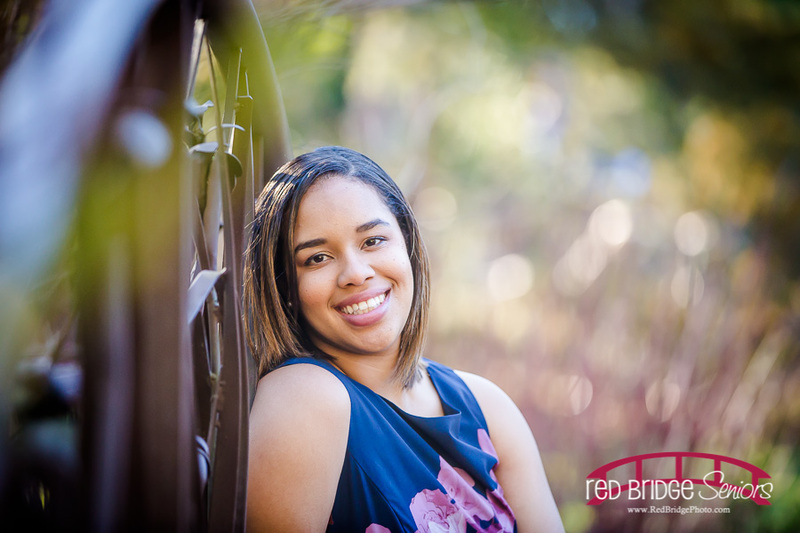 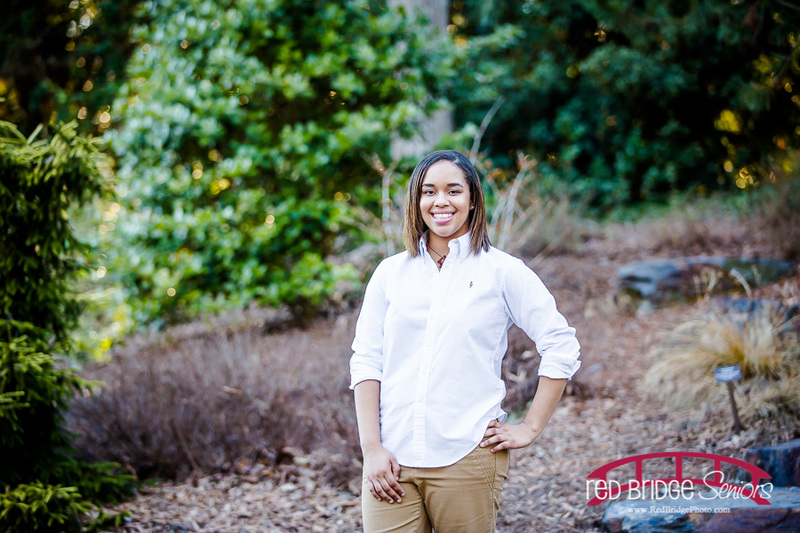 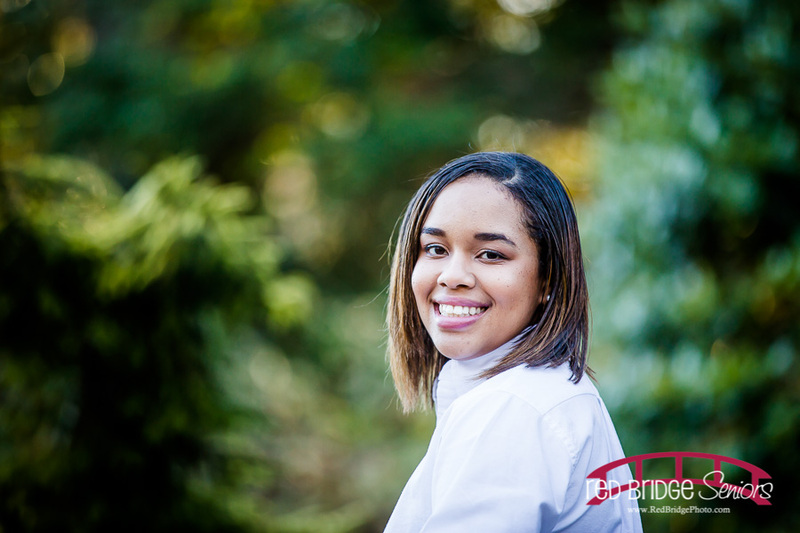 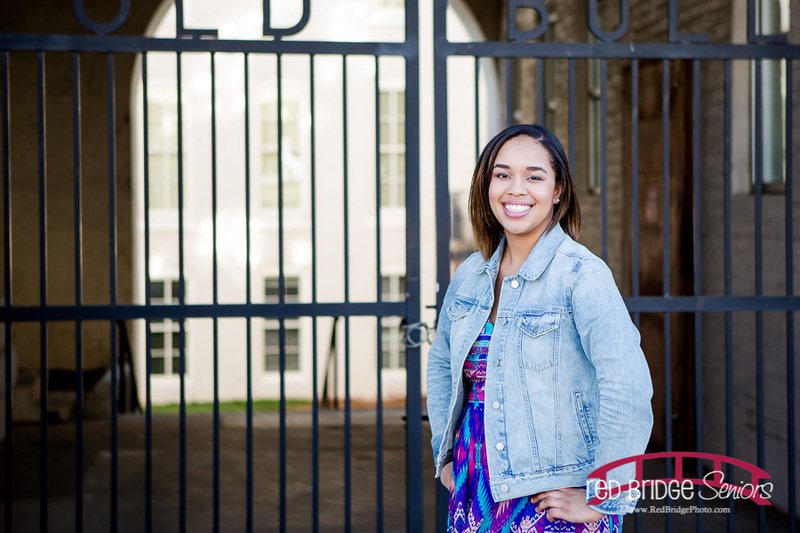 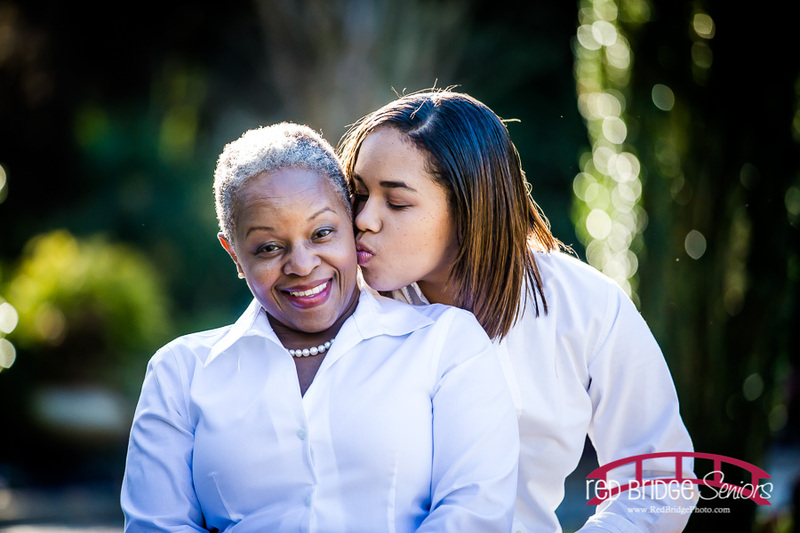 Enjoy some of my favorites from Jordan’s American Tobacco and Duke Gardens Senior portrait session! 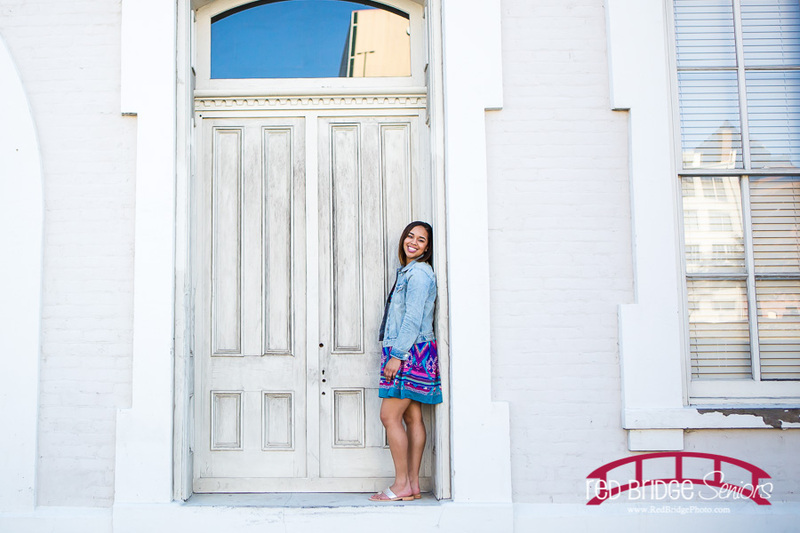 Wishing you all the best as you start college in the fall of 2015!